Want to learn more about NTCIP? with NTCIP information from the experts. NTCIP is a suite of protocols that allow ITS field devices from multiple manufacturers to be controlled from a single Central system. One element of NTCIP that allows manufacturers and specifying agencies to clearly and precisely communicate the features that are supported by a field device is a Management Information Base, or MIB. A MIB is a text file that lists the objects and their supported ranges. It includes the functionality supported by the objects and is written so that it can be read by a Central system. Each NTCIP standard has a MIB that includes the mandatory and optional objects that are included in a particular standard. However, there are instances where a custom MIB is warranted. Why create a custom MIB? When a manufacturer has developed a new type of device or added a unique feature, one that is not standard, they often create a custom MIB. A custom MIB will accurately address the object and form the structure that supports the device’s feature. Many times, these MIBs include functionality that sets a device apart from the competition, or is a newly developed feature that is not able to be managed with a standard MIB. Conversely, if an organization wanted to purchase a device that must include a particular non-standard feature, a custom MIB would allow them to clearly specify the functional requirements. By supplying a custom object to manufacturers, the company can communicate the exact unique functionality needed, rather than allow each manufacturer to create their own custom MIB. A custom MIB can be written to increase the functionality provided by an existing standard MIB. In this case, the standard objects are not modified; the new custom MIB is written with objects that include the existing functionality as well as the expanded functionality. A custom MIB can also be created without reference to an existing NTCIP standard. This is typically the case when a device is not currently covered by NTCIP. MIBs are formatted in ASN.1 notation, which is a standard notation that describes the rules and structures of the MIB. The MIB provides information about the individual objects themselves and the object’s location within ISO Global Naming Tree. As an example, the standard dmsSignHeight object from the MIB for NTCIP 1203 – DMS is shown below. DESCRIPTION “Indicates the sign height in millimeters including the border (dmsVerticalBorder). This object allows the Central system to query a sign to determine its physical height. The SYNTAX field, along with the DESCRIPTION field, indicates that the heights available for selection range from 0 to 65.535 meters. The ACCESS field shows that the Central system can only retrieve this object; if this were an object that the Central system could change, the ACCESS field would be set to “read-write”.The last line of the example shows the object’s location within the ISO Global Naming Tree. All of the objects in NTCIP are organized in a hierarchical fashion similar to a tree, where the ISO node is the root of the tree, to which nodes are attached like branches on a tree. Each object is then positioned like a leaf on the tree. In the example, dmsSignHeight is the third leaf (the “3” at the end of the Object Identifier) of node dmsSignCfg (the “1” just before the “3”).Custom objects are organized on the ISO Global Naming Tree under the creating organization’s assigned identification number. For example, the National Electrical Manufacturer’s Association (NEMA) identifier is 1206, and the Delcan Technologies identifier is 26, so the node under which Delcan Technologies custom objects are found is 1.3.6.1.4.1.1206.26. From a timing perspective, a custom MIB can be developed in a few days, or a few weeks, depending upon the scope of the added features. 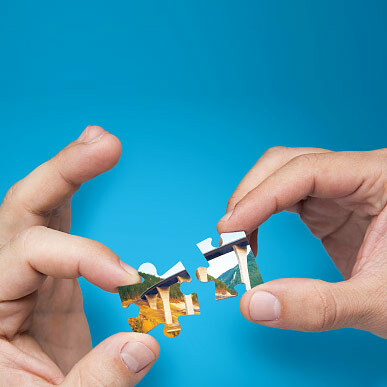 The number and size of features is the primary driver of that determination, as a larger, more complex project would require substantially more work and coding than a smaller project.If you have a project that would benefit from the creation of custom objects, Delcan Technologies can offer a superior level of expertise in this area. Delcan Technologies, a Parsons Company, is a world leader in design and implementation of ITS solutions. We partner with our clients as consultants, developers, and contractors to support them at all levels of a project. For more information on how we can help, contact us here. The Delcan Technologies embedded cards can be used either to perform as the controller in an OEM ITS device or to upgrade any existing ITS device to NTCIP conformance. They connect sensors or hardware to the device using analog or digital inputs. Data and proprietary protocols are converted to NTCIP and sent to the central system. Testing a Variable Message Sign (VMS) for NTCIP compliance is a way for organizations to confirm the communication and functional elements of the sign are working properly. Section 1203 of the NTCIP standard focuses on dynamic message signs and is the data dictionary that defines sign functionality. Does the sign perform the action properly? Did the message display properly? Is the sign using the correct font? Is the text centered as directed? Typically, a sample sign is set-up in a shop environment, or a manufacturer’s facility, along with test equipment that simulates different test scenarios. Testing software (such as Device Tester) records the results of each test administered as it relates to features, functionality, and formatting. The number of scenarios to be tested is substantial and can take up to a week to be fully tested against the standard. Testing variable message signs is critical to ensure NTCIP compliance. Thorough testing gives a manufacturer the confidence and validation needed to guarantee compliance with the NTCIP standard. From the DOT perspective, valid VMS testing decreases the likelihood of major issues when the system introduced into an ITS environment. When all parties are working from the same NTCIP standard, the deployment process is much smoother and fewer errors are detected. NTCIP 1203, the library that relates to dynamic message signs, has undergone three major revisions, with each version adding more features and functionality. Version 1, the initial standard, included the basic functionality to transfer a message to a sign, display the message on the actual sign and to receive information back from the sign. The standard included the brightness level of the sign, the adjustment of these levels, and the ability to set fonts. Version 2 added some additional functionality, but primarily dealt with graphics and color. Graphics could be displayed on the sign up to its full size and the number of colors from which to choose was in the thousands. It also allows for centering of text and image display and the ability to create “mini signs” within the main sign space. Version 3 added the ability to add formal test procedures. With more than 300 pages of formal test procedures, users can make their selection based on the features that need to be tested. There is compatibility among versions of NTCIP between VMS signs. A Version 2 sign can successfully receive messages from a Version 1 control center; however, the combination would limit the functionality and features to whichever version is earlier. Upgrading to the newest version is ideal, but not required. Delcan Technologies, a Parsons company, is a world leader in the design and implementation of ITS systems and is involved in all stages of deployment as consultant, system developer and contractor. We provide support for manufacturers at any level. For more information on how we can assist you in your efforts, contact us here. 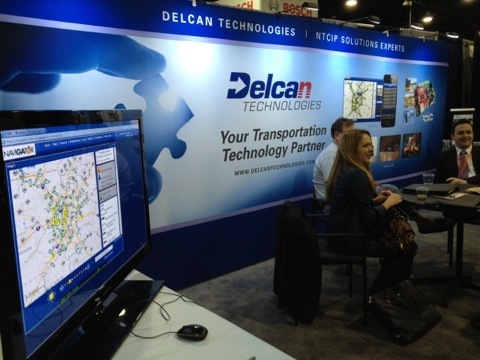 Delcan Technologies operates at the intersection of transportation and technology. We combine a diverse mix of hardware and software that works seamlessly together to solve complex transportation problems, reduce costs, provide greater efficiency and keep projects running smoothly. We are focused on multiple technology fronts, including ITS solutions based on NTCIP (National Transportation Communication for ITS Protocol), Mobile Data Collection and Tracking (MDC) and our Advanced Traffic Management System (ATMS), Intelligent NETworks. Delcan Technologies has a talented, multi-disciplined team that is skilled in understanding ITS systems and software. We are a voting member of the Joint Committee for NTCIP standards and have been a leading member of the standards development process, playing an active role in the management and revision of the standards. Today DTI is generally acknowledged as the leading NTCIP expert in North America. Another arm of Delcan Technologies focuses on mobile data collection (MDC). One of the most expensive and labor-intensive operations performed by many states during the winter months is snow removal and roadway treatment. The mobile data tracking system by Delcan Technologies allows for the collection of real-time information on vehicle speed and spread rates, blade positions, roadway conditions and additional information on snow plow activity. The MDC system increases safety and saves money by managing vehicle wear and tear and reducing overtime hours. It also lowers the number of road re-treatments and, in doing so, limits the amount of salt usage and reduces harmful emissions that are damaging to the environment. A Mobile Data Collector (MDC) is placed on the vehicle you want to monitor, such as a snowplow. The MDC is configured to collect data from various sensors on the vehicle including plow blade position, road and air temperature, spreader rate, engine diagnostic information, and more. The data is then transmitted to the central system which processes the raw data and converts it into easy to understand information. Reports help provide a clear understanding of your fleet and the weather conditions in specific areas. Delcan Technologies has the staff and expertise to manage the integration of MDC devices into your fleet. Our software team can customize the data collectors to work within your existing ATMS, and the entire installation can be modified to fit your unique environment. Delcan is a world leader in design and implementation and is involved in all stages of deployment as a consultant, system developer, and contractor. For more information contact us here. 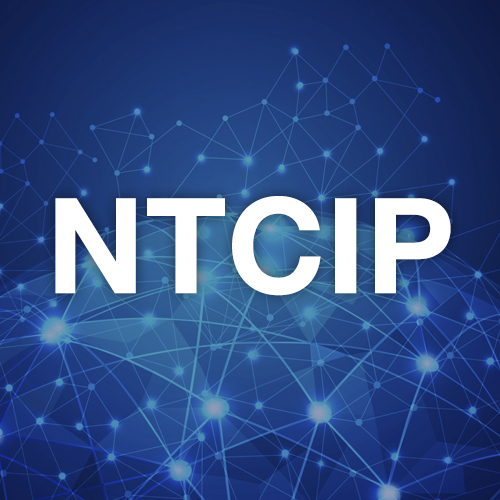 NTCIP is a widely deployed and accepted protocol for transportation communications within the United States and abroad. As the range of NTCIP continues to expand, protecting and securing transportation networks powered by NTCIP is becoming more important. There are multiple threats that every computer network faces. Automated programs and viruses frequently seek any system that is open to attack, regardless of whether it is a DOT system or not. These are not necessarily targeted attacks; they are simply individuals seeking to wreak havoc. Attacks on NTCIP based networks can also be premeditated. When a DOT system is compromised, and someone else gains control, the system can be shut down, sign messages can be manipulated, and driver safety is put at risk. 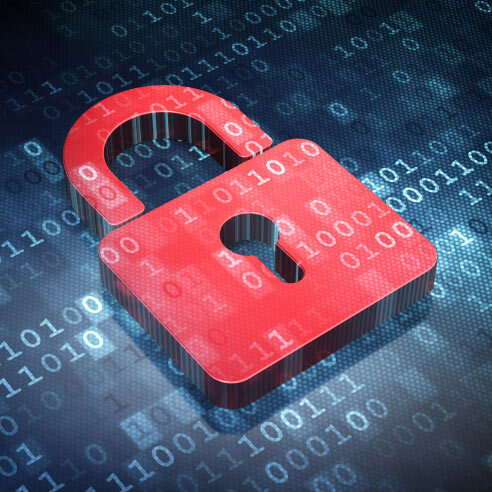 The National Electrical Manufacturer Association (NEMA) Cyber Security Group has been tasked with exploring security concerns as they relate to ITS products. The group, headed by Delcan Technologies team member Russ Brookshire, is addressing standards for devices and the enclosures in which they are housed. Their goal is to establish prevention and mitigation techniques as well as to develop a method to rate security performance. Physical security looks at the actual device to determine how well it is secured. Is the cabinet locked? Who has possession of the keys and is there a formal process when someone with key access is terminated? We assume that these safeguards are in place, but in order to create a secure system, these formal processes must be followed in every instance. Local access security addresses the field procedure once a person opens the sign cabinet. Is there immediate access or is there local password control? Is that level of security able to be bypassed? Communication security deals with the method of information transfer. NTCIP offers basic security features, so it’s important to look for additional ways to secure the system. Are you passing data across a cellular network? Is it part of a public network or is it a private network? Is there a way to limit access? Central system security includes the security of the actual application, which, among other things, controls the signs, monitors the cameras and reports traffic speed. This level deals with controlling access to the server and client computers, and ensuring that any security information kept on these computers is encrypted. In addition, this level of security addresses the system that controls the network of computers, and is normally handled by the IT department. ITS security concerns are valid, but incidents are not a frequent occurrence. Occasionally there are instances of a breach, but security across any system is paramount. It’s important to have full control when you need to communicate or gather valuable information, whether that’s on an ordinary day or in a state of emergency. One of the most important steps in designing a fleet tracking system is consulting with and gaining consensus of all parties that could benefit from its implementation. Since a fleet tracking system will potentially affect many areas within an organization, it’s critical to consult with the everyone involved. Otherwise, you run the risk of missing opportunities for efficiencies and improvements, which can be costly. The bid preparation is the ideal time to consult with parties inside your organization. Each functional department should have the opportunity to voice their requirements and offer suggestions. During this discovery phase, be sure to determine how the system might be able to help streamline functions and responsibilities within each person’s job and the benefits it can bring to each department. The ultimate goal is to make the deployment of your AVL system a win-win for your entire organization. It’s critical that you understand what your employees need and they, in turn, need to know what can be accomplished with the new system. This puts everyone on the same page and sets reasonable expectations. One of the biggest challenges organizations experience when they implement an AVL system is resistance by its employees. To their detriment, many organizations install a new fleet tracking system and bypass any change management, which may be the most critical step to success. It’s important to determine clear roles and to effectively communicate exactly what the system is designed to do. By doing so, it will help your entire organization understand the need for the change, the benefits it will grant and the value it will bring. Full transparency and awareness of the entire organization will result in optimum results for the system and alleviate any employee concerns that “Big Brother” is watching. If the discovery, implementation, and roll-out processes are not managed with intention, the new system will end up being underutilized, generally defaulting to an expensive vehicle location system. During the first few months, the system should be managed closely, but without understanding and buy-in from employees, the organization will never realize the optimum benefit of the system. Communication breeds trust, teamwork, and positive momentum. It is the key to creating support of the system and ultimately to the success of its implementation. When implementing a fleet management system that can substantially streamline operations, produce efficiencies and provide valuable information, it’s important to take the time to maximize its potential. Set expectations in advance and hold people accountable because the long-term benefits will impact your entire organization. If you are considering a fleet management system, the Parsons team can assist you with the selection, implementation, and management process in whole or in part. Our expertise will ensure that your organization obtains the optimum return on your investment. In recent years, there has been a substantial increase in NTCIP activity in South America. In 2010, Brazil began the widespread use of NTCIP, and its adoption has continued to grow at an increasing rate. For the most part, specifying and using NTCIP in South America is the same as North America. There is very little distinction between field devices or dynamic message signs. There are, however, fundamental differences with traffic controllers and multi-faced signs. 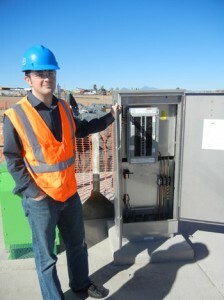 There are a variety of NTCIP VMS signs that can be deployed in South America. Given the standard commonly used in South America, the Parsons team is able to modify the signs to support NTCIP. 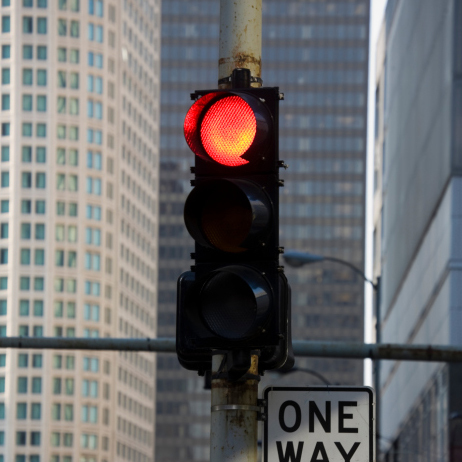 The software effort needed to communicate with an NTCIP sign requires a high level of expertise, but is less intensive than that of a traffic intersection controller. Additionally, NTCIP is typically built around the assumption of a single sign face. Some European style signs have a high-density graphic area with adjacent low-density lines for text. The concept of different densities in a single sign is not addressed by current NTCIP standards, but that is an obstacle that can be overcome. There is a distinct level of complexity inside a traffic controller. Their functionality is incredibly intricate, especially with some of the newer features available. Most of the confusion in signal controllers revolves around the type of model being used. Phase-based and stage-based models are two fundamentally different ways of passing traffic through an intersection. Every intersection in the US is a phase-based intersection, which allows for a variable signal cycle. South America uses European-style stage-based control, a fixed assignment of red, yellow and green indicators. The obstacle within a bid arises when an NTCIP intersection controller is specified, but the overall system is stage-based. This mixing of standards often causes confusion if the issue is not addressed early in the bid process. 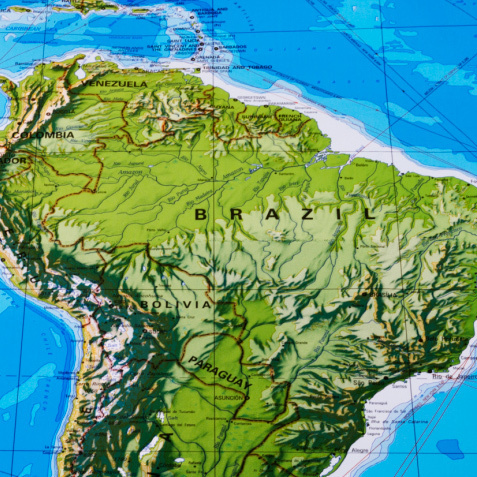 Many bids from South America are continuing to specify NTCIP, but we’re seeing an increased amount of confusion because there is a disconnect between devices that are compliant and implementation methods that are not. We will continue to see changes in the market as it becomes more dependent on NTCIP. Success will depend heavily on policymakers and manufacturers working together and communicating effectively to ensure it is implemented in a way that everyone understands. This includes the move from phase-based to stage-based control, custom MIBS for stage-based equipment, and how to approach multi-faceted signs within NTCIP standards. Delcan Technologies can help by providing NTCIP testing and consulting services to ensure conformance and help your project or bid run more smoothly. Happy Holidays from Delcan Technologies! The holiday season is upon us and we hope, among the hustle and bustle, that your home and your heart is filled with family, friends, peace and joy. May the wonder and blessings of Christmas be yours, and your celebrations be filled with laughter and happiness. As 2016 arrives, we wish you a year full of hopes, dreams and big adventures and that it’s beauty and sparkle follow you throughout the seasons. NTCIP is frequently used to manage and control traffic signal controllers. NTCIP 1202 is the section of the standard that addresses traffic signal controllers, which includes the standard objects for most of the general settings. Some examples of standard objects include how an intersection works, setting times for green, yellow, red and the order that the movements progress around the intersection. NTCIP 1202 allows the user to control and direct traffic patterns using traffic signal controllers. In general, all traffic signal controllers respond to pattern commands, which is the primary method of changing or controlling what’s happening at a traffic intersection. Pattern commands are used to create time-of-day traffic patterns that occur on a regular basis. In the morning, most commuters are headed to work, so traffic is heavy. Mid-morning is a more general, non-optimized pattern. Lunchtime can be heavier, mid-afternoon returns to a general pattern and then finally, the rush hour pattern, where signal are optimized for traffic flowing out of an area and headed home. The central system can command a pattern to a zone and all traffic controllers will run the same pattern until told to do something differently. It can also generate a “status and health” report, which pulls back the default standard timing parameters and displays the results on a map in a traffic center, so authorities can monitor the activity around the city. Standard NTCIP also has the ability to alert the user to issues such as electrical problems, when a controller is in default flash mode or when a cabinet door is open, for example. Manufacturers are not permitted to change, expand or modify NTCIP 1202, but there are some placeholders available in the 1202 MIB that allow manufacturers to specify or add commands. In some commands, there may be multiple ways for the device to perform, but there is also an option for “other” in the standard object. When manufacturers have a custom object for their device, they create their own MIB, which specifies what happens in the traffic controller when you set the standard object to “other”. Also, some manufacturers have proprietary objects that control how devices behave in situations where the standard objects do not define the task or perform special functions based on what’s happening in the intersection. Version 2 is the current version of NTCIP 1202, but a new version is in development. The updated version will add coverage of several features that most traffic controller manufacturers already have but are not included in the original specification. It will allow central systems to perform more of the standard tasks and do it consistently across multiple manufacturers. The challenge will be gaining consensus among manufacturers as to the generic defaults. The process is expected to begin in 2016 but may take longer than a year to have it completed and approved. Device Tester is a software product, developed by Delcan Technologies, that tests field devices and ITS central systems to ensure their functionality is consistent with the NTCIP standards. NTCIP compatibility is required by the United States Department of Transportation for any project that receives federal highway dollars, so it’s important to ensure compliance with the NTCIP standard. Let’s take a look at the features of Device Tester. Device Tester uses a Management Information Base, or MIB, to verify how a device responds to an object and compares the results against established NTCIP compliance standards. These MIBs include a wide range of values, a description of the data, whether the object is read-only or read/write…essentially everything communicable through the device. After loading a MIB into Device Tester, the user is able to communicate with the device in order to perform tests. These tests measure how the device responds to every object in the MIB. Device Tester maintains a log of each test and the given responses. Device Tester includes a number of pre-loaded, standard MIBs and can read both standard and custom MIBs. When manufacturers sell a device, it must be designed to communicate with the standard MIBs. Standard MIBs address global objects, such as time of day settings, as well as device specific objects, such as sign status for variable message signs. Manufacturers can add additional objects and features that separate their device from a competitor. These objects are defined in a custom MIB created by the manufacturer, which must be written in the standard international format ASN.1 (Abstract Syntax Notation One). In addition to the automated tests run by loading and scanning a MIB, Device Tester also includes the ability to create and run test scripts. This feature allows you to build a custom script that automates a specific test procedure. With custom scripting, manufacturers and developers can perform unique tests on a device to ensure it passes a specific test. Device Tester comes pre-installed with an initial set of scripts. If needed, Delcan Technologies has a team of engineers that have the ability to create custom scripts to test custom objects. The Delcan Technologies team is able to provide additional services to help generate the custom test procedures, run the test and verify the results. The National Transportation Communications for Intelligent Transportation System (ITS) Protocol, or NTCIP, is a protocol that allows traffic devices to communicate with each other. Prior to the development of NTCIP, ITS devices and systems from different manufacturers were unable to communicate without a costly and time-consuming integration effort. Devices that support NTCIP are considered NTCIP “conformant”, which is a requirement in many bids or RFPs. Often times, the device must also meet the specific requirements, making the device “compliant.” Let’s explore the differences and what it means to be conformant and compliant. It’s important to understand that conformance and compliance are not interchangeable terms. Whether a device is conformant or non-conformant is determined by how it relates to the NCTIP standard. Conforming to the NTCIP protocol requires meeting a list of minimum standards. Compliance relates to the specifications within the bid or the RFP. Typically included in a bid or an RFP is a detailed list of NTCIP functions that the given device should have the ability to perform. The device must be able to support all of the requirements in order for it to claim compliance. It is possible for a device to be NTCIP conformant and not be compliant with an RFP or bid. For example, a sign may have the ability to store 50 messages and 50 events. It meets the list of mandatory NTCIP requirements and is conformant to the NTCIP standard. However, if a bid specifies 250 messages and 250 events, the device is not compliant with the bid. The number and scope of options within NTCIP is virtually limitless. The PRL, or Protocol Requirements List, is a means of standardizing the requested options. Essentially it’s a checklist within a standard. The objective of the PRL is to clarify the list of features that are required by the specifying organization. When creating a bid, an organization can use the PRL to specify which features they want the device to support. Vendors can then consult the standard PRL to determine if their device is compliant with the bid. 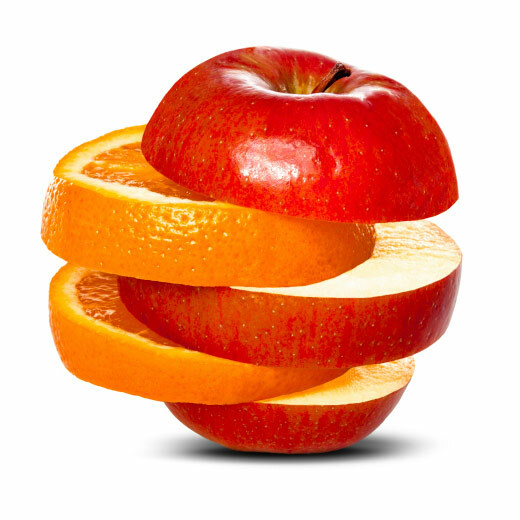 The PRL lets both the specifying organization and vendor agree on what compliance means. An additional method to communicate compliance is through a Protocol Information Conformance Statement, or PICS. PICS are created by the manufacturer and are a checklist that indicates which options are supported by a particular device. It clearly lists the functionality of the product using the PRL and can be used to verify conformance to the standard and compliance with the specifications. For more information on NTCIP conformance and compliance, PRLs and PICS, visit our previous posts, What Is NTCIP?, NTCIP Protocol Requirements, and Creating a Better NTCIP Specification With the PRL. 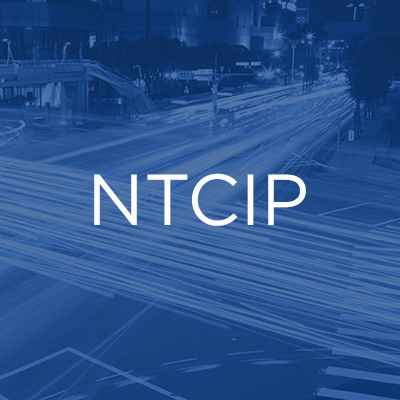 The NTCIP protocol is an industry wide standard data communications protocol, designed to facilitate interoperability and interchangeability between computers and electronic traffic control equipment from different manufacturers. Each layer of the protocol provides an increasing level of detail as to how information should be transferred and received. It explains the logical progression of the process, what to do with the information and in what order to do it. NTCIP defines both the method of transferring information and also the functionality of the field device, answering questions such as: what communications hardware is to be supported? How is the data to be packetized, sent, and verified? What optional functions must the field device support, such as sign display colors, camera labels, and weather station sensors? There are five defined levels that makeup NTCIP. These include: information level, application level, transport level, subnetwork level, and plant level. Information Level defines the meaning of the data and represents the functionality of the system. Application Level defines the rules for exchanging data. It is responsible for the sequence of statements in order to form a complete thought or sentence. Transport Level defines the rules and procedures for exchanging the application data, including any necessary routing, assembly or reassembly of a message and network management functions. Subnetwork Level defines the rules and procedures for exchanging data between two devices over a chosen communications media. Plant Level The Plant Level is shown in the NTCIP Framework only as a means of providing a point of reference to those learning about NTCIP. It includes the communications infrastructure over which NTCIP communications standards are to be used. Mastering NTCIP takes effort and there are not a wide range of classes or books to choose from when it comes to learning the protocol. Having an understanding of programming languages and the basics of networking are the best places to start. There are some online resources you can leverage to gain a working knowledge of NTCIP. 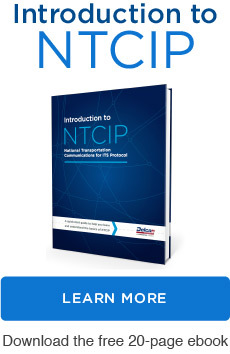 These include the NTCIP 9001 “Guide” for detailed deployment and NTCIP procurement information, the NTCIP Forums, which provide a channel for both technical and non-technical people to discuss the NTCIP and the Library Table, which has links to the status information, drafts, and jointly approved standards. All NTCIP standards are published on the NTCIP website and webinars that define both the standard itself, testing to the standard, and individual standards for specific devices are often available. Automatic vehicle location (AVL) systems typically use the cellular data network to transmit information. Determining which cellular technology to use for your AVL system is an important decision in the planning process. The newest cellular technology available to AVL systems is Long-Term Evolution (LTE), also referred to as 4G. There is no question that LTE modems are faster and can carry more data, but the improvements come with increased costs. 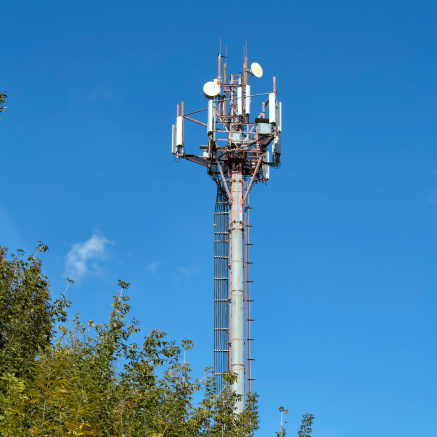 3G systems are still widely used and, depending on the nature of your application and its expected life cycle, it may make more sense to choose 3G rather than LTE. When you are trying to decide which cellular system to specify, it’s best to start by analyzing how your AVL system will be using the data. If your primary goal is to track vehicles and obtain engine information, then a 3G connection is all you need. If the vehicles are accessing websites or pulling down data, then a faster connection such as LTE may make sense. Some organizations fear that the 3G networks will eventually be retired and that 3G devices will no longer work. But, is this a valid fear? Upgrading to LTE from 3G may seem like a way to “future proof” your company’s devices, but it’s only a temporary fix. The next generation of networks that will replace LTE is already being developed and at some time in the future 5G will replace 4G. Additionally, even if the retirement of the 3G network is officially announced, it will be years before the system is deactivated. For example, when the 2G system was decommissioned, users received three years’ notice and were provided ample time to plan for a transition. In seeking ways to lower cellular network costs, some service-related companies decided to utilize in-vehicle Wi-Fi modems as a way to allow field workers with tablets to use Wi-Fi inside the vehicle. While this sounded like an excellent idea, in reality, many times it did not work. The worker would be inside the customer’s house, need to look up a part number, and try to access the Wi-Fi in the vehicle. It was not uncommon that they had to go back outside to access the network, thus decreasing their productivity. With the additional concerns about data security, this solution has diminished in acceptance by many organizations. However, if employees spend most of the day near the vehicle, a Wi-Fi solution could make sense. It’s important to evaluate how employees will utilize the data when making a decision. When exploring cellular options, it’s important to know who “owns” the cellular contract. Many companies include the cellular solution with their AVL solution. 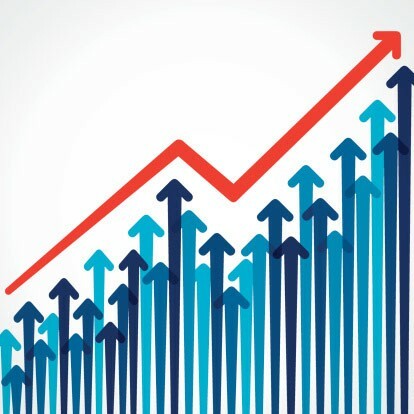 Often, a business entity will have a corporate agreement that enables the business to receive volume pricing on wireless services through its preferred provider. In these situations, it may be in the customer’s best interest to utilize its preferred carrier, rather than the wireless service provided by the AVL provider. The additional volume generated via the AVL system could drive the customer’s overall cellular prices even lower. When selecting an AVL provider, it is important that the customer specify if it will provide the wireless service itself, or if the vendor has the option to include the wireless service in its pricing plan. When exploring cellular options, it’s important to know who “owns” the cellular contract? Will the contract be a direct sales to your organization or will it go through a third-party provider? Telematic and automatic vehicle location (AVL) systems were originally focused on vehicle tracking. These early uses were commonly referred to as “dots on a map” applications. By leveraging the relatively low cost of cellular, a growing number of organizations are harnessing the power of telematics for a variety of business applications. The growth of telematic applications has directly tracked with improvements in cellular data networks. As these technological advances have occurred, data communications have become easier, and businesses are finding new uses for telematics. This increased use is causing two new issues to arise—data overload and the challenge of using multiple systems. A common theme we hear from AVL system owners is: “We get so much data that we don’t know what to do with it.” Currently, most companies provide hundreds of canned reports, overloading the ability to glean valuable data to run the business. The challenge today is not how many reports are provided, but how to focus on the specific information to better manage the business. Clearly understanding the information available and receiving specific reports designed for your needs allows you to gain more insight and value from the system, and communicate actionable tasks in real time. Each specific organization or industry has different metrics or data points that are important to them, and providing reports with personalized data is becoming increasingly important. In the past, one department in an organization might have implemented an AVL system on its own. This worked fine, in part because there were no other systems within the organization that required consideration. A single vehicle may carry two or even three AVL systems. Typically, the organization ends up paying more for multiple incompatible systems. When all of the systems are active, the company could be paying for data two or three times over. Having multiple, separate systems prevents data sharing and limits the benefits of the investment in the technology. Having a global view of your telematic systems and data collection methods is becoming increasingly important. When investing in an AVL system, it makes sense for all your departments to come together and create a “Master Wireless Plan.” The plan lays out how the data interfaces to support multiple needs, as well as report types, frequency, and accountabilities for using the data. Utilizing this plan, departments deploying AVL solutions can be assured that their decision will ultimately be fully interactive as defined in the Master Wireless Plan. A single, integrated system, used across the entire organization can provide integrated reports that can be used across the organization. Also, assigning accountabilities and guidelines for users and managers ensures consistent management of the system by all parties. By planning for the technology on a larger scale, you can reduce the direct cost to your department or division, reduce the overall cost of the system for the organization, and better plan for expanded use of the technology in the future. A challenge in many companies is how to conduct the companywide survey and prepare a Master Wireless Plan. Your Parsons team has the expertise and resources to handle all aspects of preparing and, if required, managing the Master Wireless Plan. 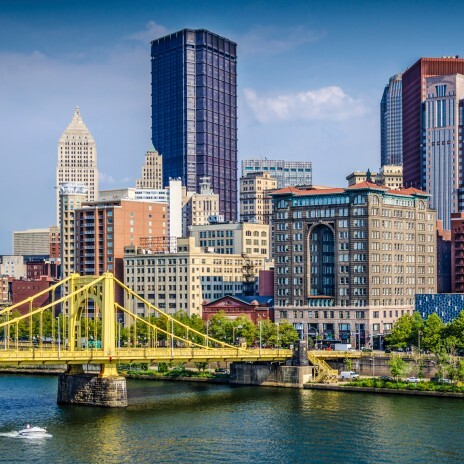 The Intelligent Transportation Society of America (ITS America), the nation’s largest organization dedicated to advancing the research and deployment of Intelligent Transportation Systems, will be hosting its 25th Annual Meeting & Expo in Pittsburgh, Pennsylvania. More than 2,000 of the nation’s top industry business leaders, manufactures, investors, researchers, elected officials and policymakers, engineers and public sector participants will gather from May 31 through June 3, 2015 to explore the bridges to innovation through ITS technologies. This year’s annual meeting program features keynote speeches and panels led by the transportation industry’s top innovators and government leaders. The program will cover all transportation modes, with more than 250 presentations across nearly 60 sessions and workshops, and offers more than 18,000 sq. ft. of exhibit space and nearly 100 unique exhibitors, five exciting technical tours, and networking events. Delcan Technologies, a Parsons Company, is proud to be an exhibitor at the 2015 ITS American Expo. While you’re on the exhibit floor, be sure to visit us at Booth 327. We’d love the opportunity to meet and talk about what Delcan Technologies and Parsons can do for you! For more detailed information on the 2015 ITS American Annual Meeting & Expo, download the program and exhibit directory here. The National Transportation Communications for Intelligent Transportation System Protocol (NTCIP) is a U.S. standard that streamlines communication between central systems and devices. NTCIP-conforming devices have now been installed throughout the world because abiding by the requirements of NTCIP ensures interoperable and interchangeable communication. When it comes to creating RFP’s, bids, or project specifications, simply stating that a device be NTCIP-conformant is not enough. When creating specifications that call for NTCIP, the requirements need to be as specific as possible. So, how do you ensure that you have a good specification? The Protocol Requirements List (PRL) is a vital tool when creating an NTCIP specification. The PRL lists and defines all the features and variations that can be specified with NTCIP. This includes all of the mandatory and optional functional features. General requests within your specification lead to wasted time, money, and result in unused equipment. Using the PRL to create a specification will help ensure all your projects and communications abide by the NTCIP requirements you need. To write a good specification, review the PRL, and select the items that you need your system to support. Both specifying authorities and manufacturers benefit from using PRLs. Specifying authorities benefit because choosing specific items on the PRL increases the accuracy of the bids received. Manufacturers benefit because they indicate functional requirements supported by their devices. Their list is referred to as a protocol implementation conformance statement (PICS). For more information on PRLs, review our post titled “NTCIP Protocol Requirements Lists (PRL) – An Overview” at http://delcantechnologies.com/ntcip-protocol-requirements-lists-prl-an-overview. Delcan Technologies employs a full team of NTCIP experts to guide any entity, including specifying authorities and device manufacturers, through the process of design, development, and testing. This ensures that all elements of the Advanced Traffic Management System are in full conformance with industry standards. You can also visit the US Department of Transportation’s website to view their resource at http://www.pcb.its.dot.gov/stds_training.aspx/. Annual winter road maintenance is a multi-million dollar undertaking for transportation systems. It is a complex operation that includes traffic, fuel, materials, equipment, and resource management. In many northern states, snow management is a significant undertaking by the Department of Transportation. In fact, often the same people who monitor traffic also monitor snow plow activity to ensure optimum traffic throughput. 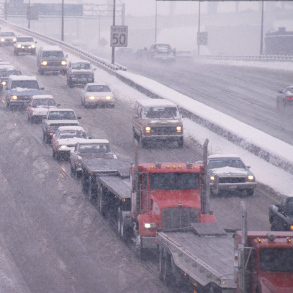 During winter weather events, traffic patterns are dependent on snow plow activity. The integration of snow plow management with traffic management creates a single user interface for all traffic management activities. This unified view of the overall traffic and winter road management activity creates a more streamlined operation and greater savings. Intelligent NETworks is designed with 26 modules that control different aspects of the traffic system, including a Snow Plow module. The Snow Plow module monitors volume of solid and liquid dispensed materials, blade positions, ambient and road temperature, vehicle location, as well as vehicle engine diagnostics, to name a few. In addition, snow plows can be equipped with cameras to provide the dispatcher with real-time visual road conditions. All of this data can then be used to update road message signs as clearing activity occurs, all through the use of one integrated ATMS. Snow plows provide an optimum case study for ATMS and MDC systems because they utilize so many components of the ATMS. From air and road temperature, to camera images, to vehicle speed, to GPS location and much more, Intelligent NETworks provides customized and comprehensive reporting capabilities for snow plow fleets. This data can be easily scaled to meet any fleet management needs. What is the true cost of a Mobile Data Collector system? When investing in a vehicle-based mobile data collector (MDC) system, many companies simply look at the initial price of the solution. However, the lowest price solution is not necessarily the lowest cost solution. It is important to understand the difference. “Price” refers to the initial financial investment made in a project. “Cost” is the total amount of money ultimately invested in the deployment, management, and maintenance of a project over its expected lifetime. Making a decision based on the true cost over the lifetime of a system can result in significant savings in the long term. While one AVL/GPS system may be cheaper initially, it may not provide the data and information required to be most cost-effective over the long-term operation of the system. A good example is the investment in an automated snowplow management system. Operators have access to precision weather information, and determine spray volume and type based upon current and projected weather. Vehicle speed could be monitored to ensure the optimum speed for type of herbicide being deployed. 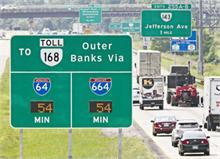 Highway information signs could be automatically updated to keep the public informed on where spraying has occurred. The ways you can use an MDC system are limitless. The DTI team would be happy to review your needs and determine if there are ways for your organization to leverage the power of an MDC system to lower your operating costs. An MDC system provides many benefits to all stakeholders involved, including the agency implementing the system and citizens using the roadways. Agencies are primarily concerned with the financial and efficiency benefits, while motorists are primarily concerned with safety and mobility. The MDC connects to the engine codes, and it records all fuel-related data. Fleet management knows how many miles per gallon were driven on each vehicle, how long the vehicles were idling, and how much was spent on gas versus how much gas was used. It also allows management to view the location and activity of the entire fleet, resulting in logistics management. This means the fleet manager can find the closest truck to respond to an event and therefore reduce fuel costs. The MDC records how much material was used or hauled during a given time interval and based on specific environmental conditions. Management can use this data to better track material usage. For instance, winter road maintenance management can analyze why one operator used twice as much treatment material as another operator driving a similar route. In addition, the MDC can connect to automated maintenance decision support systems to provide recommendations on when to apply treatments and how much to apply based on weather forecasts and historical data. Similarly, sanitation management can track how quickly each garbage truck fills up to more efficiently plan routes. Fleet management can use MDC data to better track hours worked and overtime hours. Some agencies even use engine start and stop times as time card entries. Management can easily track how much time was spent driving versus idling, or how long a route took, or how many drivers were out at one time. By providing greater visibility into resource activities and work times, management can make better resource management plans. MDCs track the wear-and-tear on vehicles and on-vehicle equipment, such as plow blades, spreaders, loaders, augers, and grapples. Management can analyze the data provided to see if certain operators are particularly hard on a vehicle and if equipment is living up to the manufacturer standards. Management can then decide whether additional training is needed on equipment care or if different products should be purchased in the future. It can also help management plan for repairs, upgrades, and replacements. Winter road treatments, such as de-icing chemicals, salt, and sand, are caustic and very hard on road surfaces. Because MDCs provide more efficient treatment application and result in a decrease in the treatment materials used, the costs for road maintenance and repair are decreased. Adding touchscreen functionality to an AVL system provides an extra, dynamic level of sophistication. The technology allows operators to both view and input information versus passively transmitting data with no operator visibility. The decision to utilize touchscreen features with an AVL system is dependent on the needs of your organization. If you only require the receipt of data points such as location, speed and engine codes then a basic AVL system might suffice. 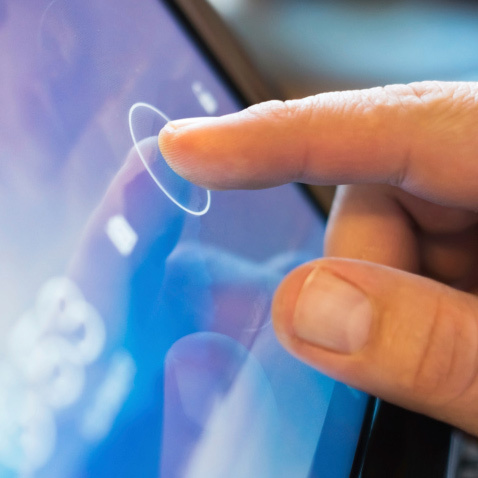 However, if you are seeking to communicate with the vehicle operator, or require operator input of data, then a touchscreen could be the right fit. Below are some of the items to consider regarding justification of a touchscreen on an AVL system. Need for real-time communications with the operator– With a screen in the cab, operators can use the AVL system to both send and receive time critical information. Instead of downloading the information when they return, operators and administrators can view a wide variety of metrics as they are on the road. Location Visibility– For the Delcan Technologies snow-plow application, buttons and interface elements on the screen can be minimized facilitating a GPS based weather map. Drivers have a full view of imminent weather in the vehicle. Vehicle status icons can be maximized at will. Having a custom map application, complete with geo-fencing data, helps ensure operators are in the proper zone and, in the case of snow, are applying the deicing material in the proper location. 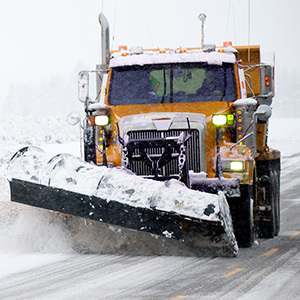 Snow treatment and removal visibility- The Delcan Technologies Intelligent Snow Plow MDC system provides the operator with accuracy of blade position and material distribution. Additionally, with additional sensors, the operator can monitor when the gate is open and material is flowing. The MDC can monitor multiple sensors providing the operator with peace of mind of the job they are performing. Delcan Technologies, a Parsons company, helps identify user needs and creates solutions that optimizes the investment in their MDC solution. Automatic Vehicle Location (AVL) is a means of managing a fleet of vehicles using a global positioning system (GPS). Already in widespread use in the transit, trucking, and emergency response communities, AVL has recently been applied to winter maintenance operations. The goals encompass improving agency efficiency, reducing material usage and decreasing the time spent reporting labor, material and equipment usage. AVL systems allow a manager to monitor the location of fleet vehicles at any given time and can be a resource management system for managing labor, equipment and materials used for various roadway maintenance functions. 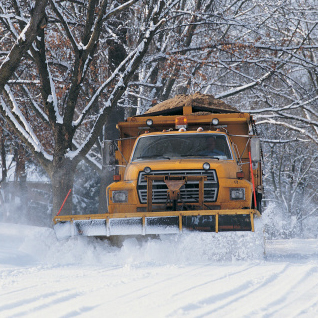 In addition to knowing a vehicle’s location, a robust AVL system is capable of capturing and reporting operational data from a snowplow’s on-board systems such as a DICKY-john material controller, as well as other data, including material application rates, air and pavement temperature, and the position of blades and plows. The AVL/GPS and other operational data is displayed in near-real time on a website and also stored for future reporting and data analysis. Michigan Department of Transportation (MDOT) recently began integrating AVL into its winter maintenance fleet. The operational data collected by MDOT’s AVL system is processed and automatically fed into a Maintenance Decision Support System (MDSS). The goal of MDSS is to provide a decision support tool for MDOT staff involved in winter maintenance operations. 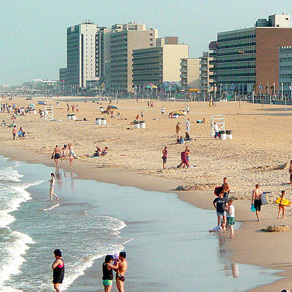 MDSS is used by at least 15 states across the nation. It is a tool that provides location-specific weather forecasts along snowplow routes and predicts how road conditions will change due to forecasted weather. The system recommends the most effective maintenance treatments and application rates and suggested times to apply material to maximize its effectiveness for the snowplow operators. These route-specific treatment recommendations are provided to maintenance garage supervisors on a website as well as transmitted directly to a screen for plow operators to view in near-real time. The main impetus behind MDOT’s AVL/GPS/MDSS implementation is to provide a tool that will allow maintenance garage supervisors to make more informed decisions on how best to attack an incoming storm using real-time operational data, current and forecasted weather information and scientific models that predict how the forecasted weather will affect road conditions. MDOT is not the first agency to utilize AVL technology and MDSS services to manage its fleet and winter operations. However, MDOT’s contracting approach, scale of implementation, and accelerated timeframe for initial rollout offers a unique model, which can aid other state or local agencies what wish to leverage the benefits that AVL and MDSS services can provide. Under this all-encompassing contact, MDOT works directly with one vendor who is responsible for providing all equipment, securing cellular communications services, and coordinating resources to meet the needs for both AVL and MDSS mapping and reporting. The installation of AVL equipment is performed by MDOT mechanics that have been trained by the vendor. The schedule for this project has been aggressive, but successful so far. In May 2013, MDOT’s executive leadership authorized funds and gave approval to issue and RFP for the procurement of a comprehensive AVL and MDSS solution for MDOT. The RFP was advertised in June 2013, and a signed contact was executed by mid-September, 2013. As of March 2014 AVL units and auxiliary sensors had been installed on MDOT’s fleet of 2070 snowplows. The AVL and MDSS were commissioned on November 15, 2013 and utilized all winter long by MDOT staff. Even though the systems are new to the department and not all snowplows were instrumented with AVL before winter started there are many anecdotal examples where the MDSS has saved MDOT manpower and money. A comprehensive cost/benefit analysis of the AVL/MDSS deployment project will be completed after MDOT as had a full winter season with these new technologies. The NTCIP standard is known as a protocol standard, but also specifies functionality required for field devices. Were it only a protocol standard, it would be possible to test for conformance using only a protocol analyzer. However, the standards that include test procedures always include functional testing also, such as verifying that messages are displayed correctly, cameras move appropriately, or intersection controllers cycle properly. To reflect this requirement that standards should specify functionality, many of the NTCIP standards have now been updated to conform to the Systems Engineering Process, where User Needs are listed, Functional Requirements are defined, and all elements of the final standards are traced back to these two groups of parameters. Once the standard has been created, a remaining task of the standard is to clearly define mandatory and optional requirements, along with providing a means of communicating between the interested parties what optional requirements are needed by the specifying authority, or implemented by the manufacturer. The section of the standard that is used for this purpose is known as the Protocol Requirements List (PRL). In the standard, the PRL indicates whether a particular Functional Requirement is Mandatory. All Mandatory Functional Requirements must be implemented for a device to be considered conformant to the standard. Alternately, a Functional Requirement may be listed as Optional, in which case a Specifying Authority can require that this Functional Requirement be supported by selecting “YES” under “Support/Project Requirement” in the PRL table. A field device provider would then be compliant with the Specifying Authority’s Specifications if this Functional Requirement is implemented. Note that the NTCIP standards allow Optional requirements to be conditional on whether other Optional requirements have been selected, ensuring that the selected requirements “hang together” to form a working system. In addition to being able to select optional conformance requirements, the Specifying Authority can also indicate Additional Project Requirements. For some Functional Requirements guidance has been provided by the standard in the form of fill-in-the-blank statements. In this column the Specifying Authority may also reference separate documents, such as font tables or message lists for Dynamic Message Signs. Not only can the PRL be used by a Specifying Authority for the purpose of defining their specific needs, but the PRL can also be completed by the manufacturer of the field device to indicate the Functional Requirements supported by their device. 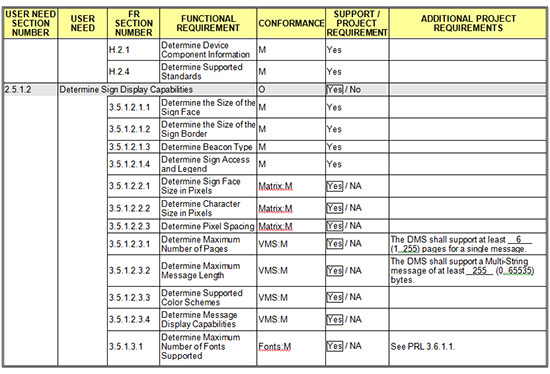 The PRL as completed by the manufacturer would then be known as a Protocol Implementation Conformance Statement (PICS). The PICS can then be used for several purposes. It can be used by the Specifying Authority to verify conformance to the standard and compliance with the specification. It can also be used by a third-party test organization to develop the Test Cases necessary to verify conformance and compliance by means of the Test Procedures. Delcan Technologies, a Parsons Company, employs a full team of NTCIP experts who can guide any entity through the steps to ensure all aspects of implementing an Advanced Traffic Management System is in full compliance will industry standards. Transportation agencies and businesses that manage fleets are actively exploring the use of AVL and telematics systems. Providers in this field have created a wide range of solutions that range from simple “dots on the map” solutions to complex and powerful options that record and process data. AVL and telematics are considered essentials for fleet management. AVL technology, when paired with telematics, provides fleet managers with a broad view of the status and location of their fleet. 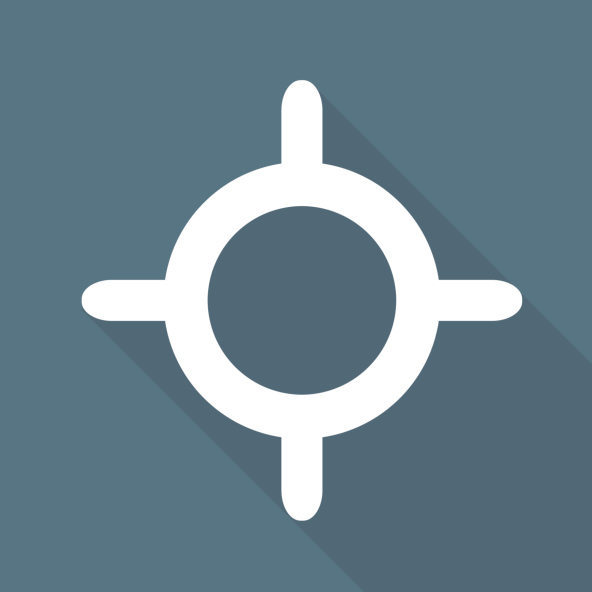 Generally described as “dots on a map”, AVL enables companies to view the location of their vehicles on a map. This feature is the cornerstone of any location-based system. In addition to AVL, this capability enables companies to obtain data from the vehicle. Types of information that can be gathered include: idle time, fuel consumption, fault codes, etc. More robust systems will add additional capabilities into the basic AVL and telematics features. Two common additions are routing and integration with client applications. Routing takes GPS the extra mile by allowing fleet managers to maximize their fleet’s efficiency and reduce vehicle miles traveled. Depending on deployment, routing can actually provide turn-by-turn directions to the driver, highlighting any out of route driving. Fleets that operate with with ancillary applications, such as time management systems, and work-order management systems, to name a few, can benefit by integrating their applications into the AVL/Telematics system. Automated time reporting, and billing systems provide payroll accuracy while decreasing the time to receive payment of services rendered. While routing and application integration are powerful features, many organizations require more from their AVL system. These more robust systems utilize Mobile Data Collectors (MDC) and add customized collection, reporting and communication capabilities. MDC systems allow for custom integration into an ATMS system. This integration feeds immediate notifications to traffic control center. By adding ATMS protocols, vehicles can communicate directly with municipal, regional or state traffic control systems and information is reported immediately. Custom defined areas can be established through the use of electronic boundaries and geo-fencing. Precise tracking of material deployment within these areas can be measured and communicated back to vehicle operators. Vehicles with MDC capabilities become remote weather stations, providing real-time weather data from locations within operational areas. 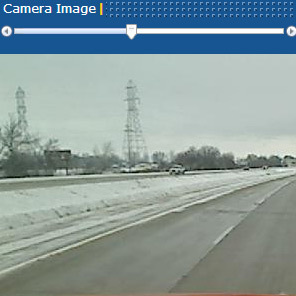 Controllers can view a live video feed from the vehicle to obtain visual confirmation of weather conditions. MDC systems with Maintenance Data Support System (MDDS) capabilities facilitate integration with external and third party providers. Examples of MDSS use include integrating a precision weather forecasting company’s service, provide real-time feedback to the driver on treatment levels, locations and times by device. Knowing the location of your fleet is only the beginning of the information available to you through AVL technology and telematics. Would these features help you organization improve performance? Delcan Technologies welcomes the opportunity to assess your business needs and create an integrated solution within your Advanced Traffic Management System infrastructure. 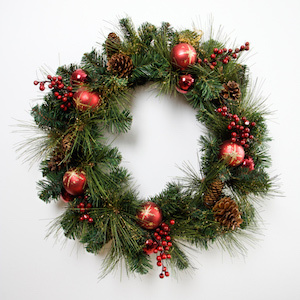 DTI wishes you a season filled with warm moments and cherished memories. We hope that as you gather with friends and family during this holiday, the joy, peace, and goodwill of Christmas will flood your home and heart. May the closeness of friends and the comfort of home renew your spirits and bring you fond memories for tomorrow. A blessed Christmas to you and yours, and best wishes for a Happy New Year! 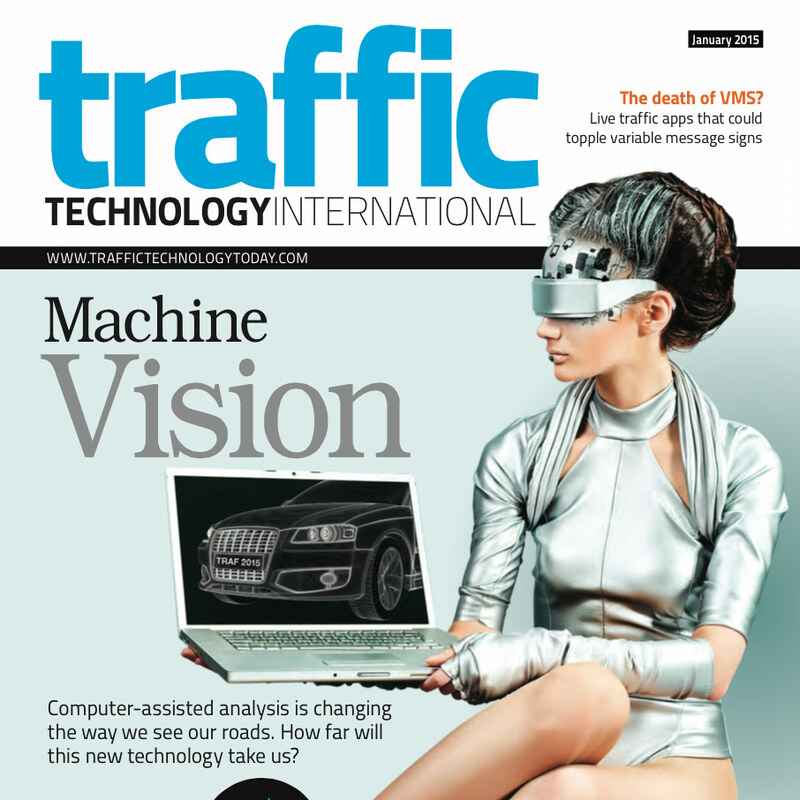 Note: This article originally appeared in Traffic Technology International. Winter began early in Michigan. Just as in 2013, mid-November 2014 saw the northern state blanketed in the kind of deep snow residents are more used to seeing in January. In fact, on November 20, 2014, the Grand Rapids region officially announced its snowiest November on record with still 10 days of the month left to go (28.4in had fallen by 7:00pm that day; the previous record of 28.2in was set in 1895). But at least Michigan residents can take comfort from the fact that state snowplows are operating at maximum efficiency – controlled using an advanced system implemented by the DOT just in time for the early whiteouts. Critically, the kind of weather forecasting needed to direct snowplows not only on the correct routes, but also in the application of the correct type and amounts of deicing chemicals in real time, is highly detailed. A regular weather forecast can tell you what is about to fall from the sky and what the air temperature will be. However, what it can’t predict is the exact effects of this weather on pavement condition. This is due to the variable nature of many influencing factors, including pavement characteristics, environmental influences and atmospheric conditions, as well as previous maintenance activities and traffic levels. This kind of super-accurate forecast meant that recently an MDOT supervisor was able to call in more operators several hours before the TV news predicted snow. “If you are planning to do something outside, you turn on the local news for a weather forecast,” says Croze. “But the forecast we get is weather, plus it’s forecasting what that weather is going to do to our roadways. It provides us with treatment recommendations based on science. So we know if we should treat our road with salt or some other chemical. And it gives us an application rate because we know the temperature of the roadway and how much snow is falling. So there’s a formula that tells us how much salt to apply to be just enough to melt the snow and ice.” This means precious resources are conserved, without compromising safety. While MDOT and its contractors concentrated on the technical side of the system, they failed to anticipate there would be problems of a more human nature. Many snowplow operators initially regarded the new system with suspicion. Some viewed it not as a helpful aid to more efficient working, but as unnecessary interference – an unwelcome eye over the shoulder. Castle is even looking to a future where it won’t be necessary to log on to a website or even look at a sign to obtain such information. He is developing roadside units that will communicate directly with vehicles. Once all the snow and ice has finally melted from the roads and spring returns to the Great Lakes, MDOT is planning ways to use its forecasting technology for other purposes. As weather forecasting, and more specifically pavement forecasting, become more and more accurate, its potential applications are becoming evermore varied, as are the number of ways such information can be accessed. It seems likely that the connected vehicle of the future could add weathermen to the growing list of professions it may render redundant. Delcan Technologies is excited to introduce you to our newest team member, Larry Simmons. Hired at the beginning of November, Larry will be assisting with business development and spearheading new opportunities at DTI. A veteran of the telecommunications and wireless industry, Larry has tremendous industry experience, and Delcan Technologies is excited to bring his abundant expertise to the company. In speaking about the new role, Larry said he is most excited at the prospect of helping municipalities solve transportation problems that they believed were unsolvable. “Many transportation organizations have problems they may not be aware of, and the DTI team has the experience to solve them,” he said. Though Larry works out of the Atlanta DTI offices, he currently resides in Nashville with his wife. Larry is a proud father of three, a grandfather to seven. 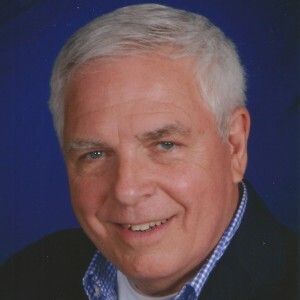 In his spare time, he enjoys spending time with his grandchildren and working on a wide variety of woodworking projects. In the past, the transportation industry deployed systems with unique data definitions and proprietary communications protocols. Field devices and systems from one manufacturer or developer were not interoperable with those of other manufacturers or developers. As a result, system expansion after initial deployment generally required major systems integration efforts and costs. In 1996, a consortium of manufacturers, engineers, safety experts, and governmental entities joined together to create the National Transportation Communications for ITS Protocol (NTCIP) standard. This committee identified examples where a standard protocol would enable unlike systems to interface into a common protocol. Deploying NTCIP protocol enables municipalities, companies, and other entities to interface their entire transportation system into a cohesive, highly efficient solution. Delcan Technologies, a Parsons company, provides components that translate unlike protocols into NTCIP, which enables government and business entities to deploy an Advanced Transportation Management System across vast areas with an integrated user experience. 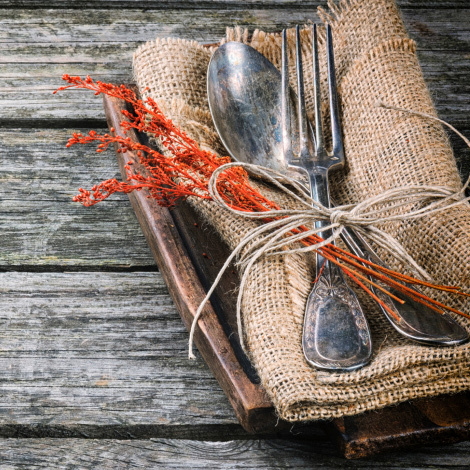 From the Delcan Technologies family to yours, have a safe and happy Thanksgiving! According to AAA, 46.3 million Americans are expected to travel this Thanksgiving holiday. 89% of travelers will travel by automobile. DTI wishes everyone safe travels as you enjoy spending time with family and friends, eating a warm, hearty meal, and making new memories. The growth of transportation technology along with advancements in AVL and GPS have created unprecedented advancements in the ability to track, manage and maintain a fleet of vehicles or equipment. While there are numerous vehicle location systems on the market, they only provide a narrow subset of data. A mobile data collector (MDC) system combines AVL, GPS and data into a powerful tracking and reporting tool that provides real-time information on a wide range of user-specific data. These custom systems take raw data from virtually any source and translate it into usable, comprehensive re- ports, which can be communicated back to end users, such as operators, drivers, and managers. Due to their custom design and features, MDC systems offer endless possibilities that can save your organization time and money, while increasing performance and safety. Any type of fleet management operation can use MDC systems to stay connected with its fleet. This may include winter road maintenance crews, emergency response teams, sanitation trucks, street sweepers, public busing systems, and construction and mining crews. An MDC system allows these organizations greater visibility into where their vehicles and equipment are located and what they are doing. These systems can be leveraged to provide vehicle and equipment tracking, vehicle diagnostics, fuel management, scheduling and routing support, asset security, increased operator and passenger safety, and more efficient operations. 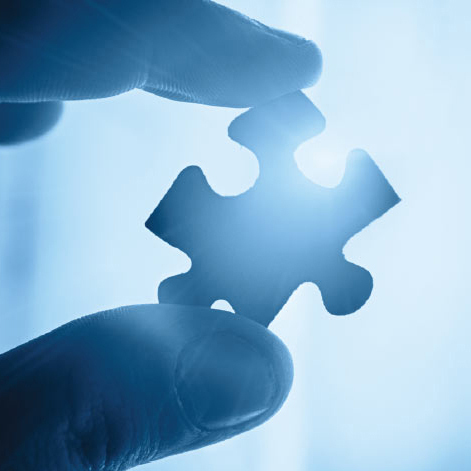 MDC systems are tailored to meet the specific needs of each user. They collect user-specified mobile data and translate it into intelligent, actionable reports. Delcan Technologies is proud to introduce you to our newest team member, Dennis Jeng. Dennis was hired as our new Product Support Specialist and brings with him a decade of experience in the world of information technology. He is currently working toward earning his associate degree in the field of information security. Customer technology support and quality control will be a main priority for Dennis, as well as working with our mobile data collection (MDC) hardware and software. Dennis will also be responsible for handling our return materials authorizations. Dennis resides in the greater Atlanta area with his wife and daughter. In his spare time, Dennis said he enjoys fishing and relaxing with his family. DTI is proud to add his experience to our team. Delcan Technologies, a Parsons company, has had a busy few months. 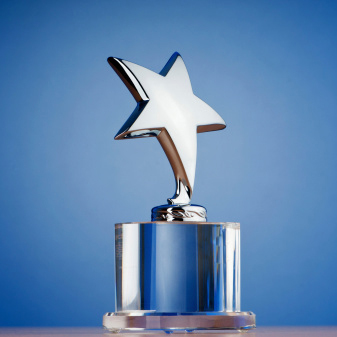 DTI recently attended three major transportation conferences and won an award at the most recent ITS World Congress. 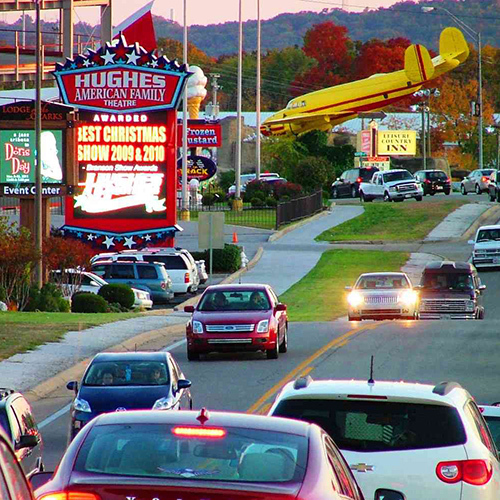 The 2014 NRITS conference, held in Branson, Missouri, was an important gathering for the transportation community. Because the conference united traditional and non-traditional users of intelligent transportation systems, it represented a unique opportunity to learn about a wide variety of ITS disciplines. Discussions this year addressed rural safety and transit, multi-agency coordination, workforce development, EMS issues, and more. DTI representative Mark Neill attended the conference along with Steve McDonald from Delcan. Mark, with members of the South Dakota DOT and ITERIS, helped present on the state of the Automatic Vehicle Location (AVL) and Maintenance Decision Support System (MDSS) industries. The 2014 APWA Congress hosted more than 125 technical and professional development sessions. The APWA Sustainability Conference and the Public Works Stormwater Summit were both held during the Congress. Together, they provided extensive educational workshops and ample opportunities for networking. Topics covered this year included integrating modes of transportation, traffic and transit, fleet and facilities, sustainability best practices, construction management, emergency management, and engineering and technology. DTI representatives Russ Brookshire and Mark Neill attended and met with the Parsons Toronto office to demo the new MDC-006. 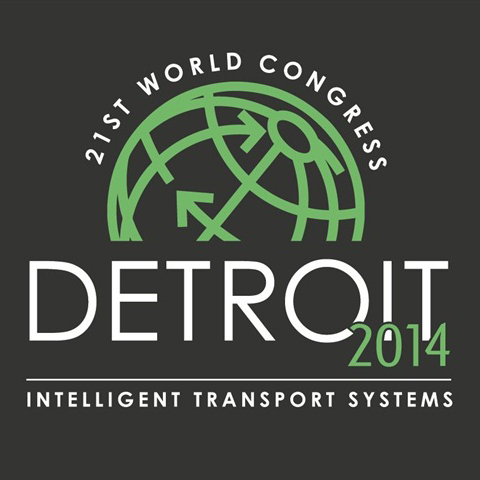 ITS America hosted the 2014 World Congress on Intelligent Transport Systems in Detroit, Michigan, September 7-11. The conference included nearly 10,000 of the world’s leading transportation policymakers, researchers, and business professionals from the United States, Europe, and Asia. Featured speakers at the event included GM CEO Mary T. Barra, Bill Ford, and the US Secretary of Transportation, Anthony Fox. Topics covered included the future of federal funding and V2X-V2P (vehicle to person, autonomous parking, and connected valet systems). The Michigan Department of Transportation (MDOT), supported by Delcan Technologies and ITERIS, Inc., won the award for the Best New Innovative Practice – Sustainability in Transportation for its AVL and MDSS implemented in more than 300 MDOT winter maintenance trucks. Additionally, the effort put forth by MDOT to ensure the show and demonstrations on Belle Isle ran smoothly was appreciated by all the attendees. DTI was excited to learn what others are doing in the transport industry and to interact with clients and new customers. 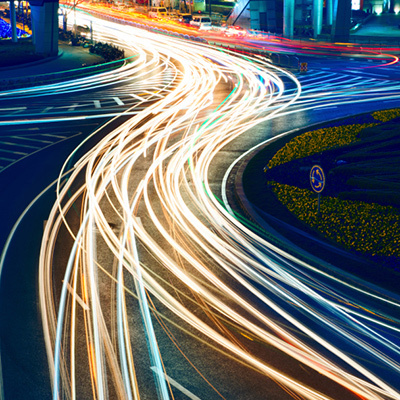 Traffic technology continues to evolve at a rapid pace, with new developments influencing everything from vehicles to the infrastructure itself. Here are some recent news articles on traffic technology to keep you up-to-date on the latest trends and developments. Attitudes about public transit do not vary much from coast to coast in the United States, according to a new study. The study, released by TransitCenter, is the first of its kind to analyze attitudes by metrics such as age, income, education, and ethnicity to provide a comprehensive look at mobility needs throughout the nation’s cities and metro areas. Researchers at the Massachusetts Institute of Technology have developed a system to direct drivers around potential traffic jams requiring no physical infrastructure such as toll booths. Using virtual tokens, cellphone tracking, and vehicle-to-vehicle wireless LANs, the system identifies conditions for traffic jams and reroutes drivers accordingly. The Michigan Department of Transportation (MDOT) was recognized for two projects by the Intelligent Transportation Society of America (ITS America). MDOT won an award in the Best New Innovative Practice – Sustainability in Transportation category for its Automatic Vehicle Location (AVL) and Maintenance Decision Support System (MDSS) project. They were also a finalist for the Best New Innovative Practice – Partnership Deployment and won the Best Technical Paper award. Delcan Technologies, a Parsons company, assisted on both projects and is proud to be a part of the victory for MDOT. Drivers crossing the border to Canada via Lynden and Sumas in Washington have new tools to help choose the most efficient border crossing. Fourteen internet-connected, traffic cameras were installed along the border routes by a contractor for the Washington State Department of Transportation. These cameras and a forthcoming electronic sign will provide drivers with estimated travel times for the various crossing routes. A new report suggests the sale of personal navigation devices (PNDs) will steadily decline as drivers switch to using their phones and tablets as multi-functional navigation devices. The report, conducted by industry analyst Berg Insight, predicts that the sale of PNDs will drop to just 10 million units worldwide by 2019. Vehicles with factory-installed, in-dash navigation systems are also to blame for the drop, according to the report. The Borough of State College in Pennsylvania has become the first city in the US to launch a License-Plate Enabled (LEP) parking infrastructure. The system allows parking tickets to be doled out digitally if it detects a car parked illegally. Patrons are warned via text message when their time is nearly up and are given the option to extend their parking limit by texting additional minutes to the meter. A UK-based company has improved its street lighting control system to be more economically efficient. The company, Telensa, upgraded its wireless street lighting system to include GPS capabilities for monitoring traffic flow as well as an option to adjust the light’s brightness according to traffic levels. The Michigan Department of Transportation (MDOT) won the “Best New Innovative Practice – Sustainability in Transportation” category at the annual Intelligent Transportation Society of America’s (ITS America) “Best of” awards. ITS America hosted the 2014 World Congress on Intelligent Transport Systems in Detroit, Michigan September 7-11. The conference included more than 10,000 of the world’s leading transportation policymakers, researchers, and business professionals from the United States, Europe, and Asia. MDOT, supported by Delcan Technologies, a Parsons company, and ITERIS, Inc., won the award for its Automatic Vehicle Location (AVL) and Maintenance Decision Support System (MDSS) implemented in more than 300 MDOT winter maintenance trucks. The project included integrating mobile data collectors (MDC) onto the snowplows along with a software solution that provides MDOT with a wealth of data and reporting options. The MDC units can report on the location, speed, weather conditions, and material dispersal of each snow plow. Additionally, Delcan Technologies was responsible for smoothly integrating existing Mobile Data Collector technology into an MDSS that uses HiCAPS™, an advanced model that accurately predicts highway conditions. Using this data, MDOT can interpret weather and traffic patterns and plan for winter road maintenance and treatment strategies. The Delcan Technologies team arrived in Detroit over the weekend for the ITS World Congress conference show. The opening ceremony kicked off on Sunday night with General Motors CEO Mary Barra, ITS World Congress Chair and HNTB Corporation Vice President of ITS Jim Barbaresso, Michigan DOT Director Kirk Steudle, and Michigan Economic Development Corporation President and CEO Mike Finney. Stop by and say hello if you are attending the show. 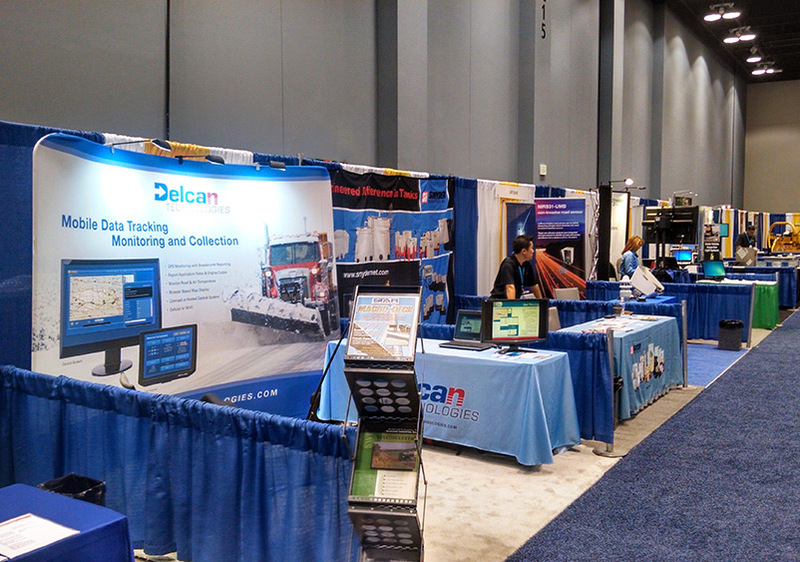 Delcan Technologies is at booth 2823 in the exhibit hall. The camera slider bar feature available on the Intelligent Snow Plow module lets you quickly scroll through your images. The Intelligent NETworks® Intelligent Snow Plow module collects real-time information on weather and roadway conditions. One of the data sets it collects is images taken from the cameras mounted on the snow plows. These images are uploaded to the Intelligent NETworks central system, where they are stored in a gallery. The camera slider bar feature takes the thumbnails and groups them together by vehicle and shift so the user can quickly view the collection of images. The user simply clicks on the slider bar, and the images advance forward or backward depending on the direction the slider bar is moved. The user can also control the speed at which the photos are advanced and manually click through the thumbnails. 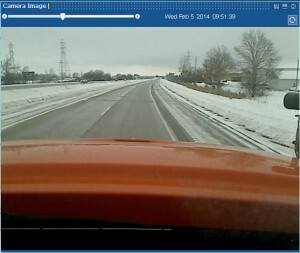 The camera slider bar feature provides users with a quick overview of roadway conditions. It creates the impression of a time lapse video, so the user can see how conditions change over time. Fleet managers can quickly view the roadway conditions on the snow plow operator’s shift in a matter of seconds. This way, fleet managers gain a better understanding of the conditions, which leads them to more effective and efficient decisions. The camera slider bar provides great user experience and makes viewing images more intuitive. We are pleased to announce the arrival of two tiny new members to our DTI family this summer. Congratulations to the Neill family and the Spikes family on their new bundles of joy! 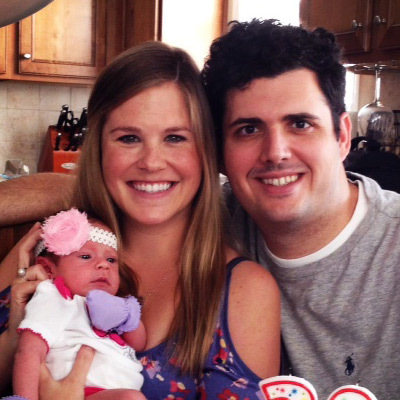 Mark Neill and his wife welcomed their first child, Owen Reid Neill, to their family on Thursday, June 19, 2014. Baby Owen arrived weighing 7 lbs 5 oz. They are thrilled with their new addition and look forward to a busy and exciting rest of the year. 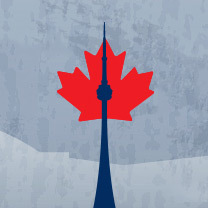 This year, the APWA hosts the 2014 International Public Works Congress and Exposition in Toronto, Canada, August 17-20. This international gathering joins nearly 6,000 public works professionals from all over the world. Featuring three days of networking, education, and exhibitions, “The Best Show in Public Works” highlights the latest industry trends and technologies. The 2014 Congress is hosting more than 125 technical and professional development sessions. The APWA Sustainability Conference and the Public Works Stormwater Summit will both be held during the Congress, providing extensive educational workshops and ample opportunities for networking. Topics covered this year include integrating modes of transportation, traffic and transit, fleet and facilities, sustainability best practices, construction management, emergency management, and engineering and technology. In addition to the educational sessions, the Congress features The Expo Experience. This 90,000 square-foot exhibition floor will showcase more than 400 exhibitors highlighting the latest products, services, and technologies. The Expo also includes live interviews with session speakers, prize drawings, cyber stations, the New Product Showcase Booth, the Technology Pavilion, the Exhibitor Solutions Theater, and much more. 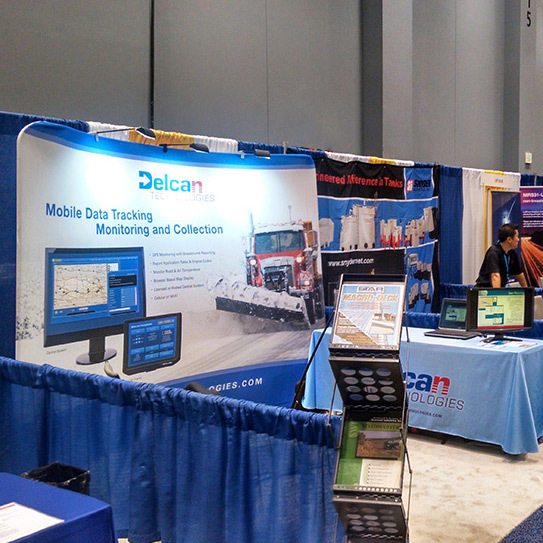 Delcan Technologies is proud to be an exhibitor at the 2014 APWA Congress. We hope you’ll stop by The Expo Experience and see us at booth 1744 as you browse the exhibit floor! Delcan Technologies offers enhanced queue management services that alleviate congestion and increase security. In its simplest form, DTI’s Queue Management program answers the question of where you are going to park and when. It assists parks and large tourist attractions in organizing the large influx of people in and out of the facility by managing congestion at drop-off points, optimizing the use of parking spaces, and reducing overflow. DTI’s Queue Management program is not just a software plug-in. The service provides custom solutions to best meet the needs of the client. 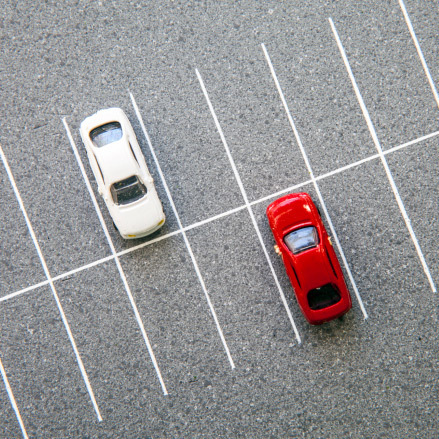 DTI offers consulting services to analyze the parking patterns and the client environment to determine what types of queue management tools and services should be used. Queue Management allows you to monitor who has been let in to the facility, where they are going, and how long they have been there. Facilities management and security can work together to ensure the smooth and safe transport and parking of vehicles. In addition, security departments will be able to quickly locate vehicles, monitor abnormal patterns, and direct checkpoints. DTI’s Queue Management program pulls data from existing signs, sensors, and equipment and integrates that data into central management system. The Intelligent NETworks Parking module allows the users to access the system through a single control center system. Custom reporting provides facility managers with the tools and resources they need to manage expectations, improve security, and reduce congestion. This year, the National Rural ITS Conference will be hosted by the ITS Heartland Chapter in Branson, Missouri, from August 24-27, 2014. The NRITS conference is an important gathering for the transportation community, attracting professionals from public and private transportation, public safety, medical and emergency services, tourism, and trucking. Because the conference unites traditional and non-traditional users of intelligent transportation systems, it represents a unique opportunity to learn about a wide variety of ITS disciplines. Discussions this year will address rural safety and transit, multi-agency coordination, workforce development, EMS issues, and more. Delcan Technologies looks forward to attending the upcoming conference, where we will debut the MDC-006, our new mid-range mobile data collector. Designed for general motor pools and non-heavy machinery, the MDC-006 is a good choice for fleet management companies that don’t require multiple vehicle sensors and in-cab touch screen displays. The MDC-006 is a cost-effective option that operates seamlessly with DTI’s central system. Don’t miss your chance to stop by and visit us at booth #26 in the Exhibit Hall. We hope to see you there! 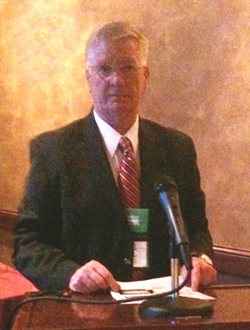 DTI’s Sean Mulligan went to the Atlanta conference on May 13, 2014. He attended the keynote session by Forrester Research, which focused on the ways that mobile applications are helping customers get what they need when they need it. Sean found the session to be especially relevant to DTI’s focus on meeting client needs and expectations through mobile data tracking. Sean then attended the Customer Showcase, where RealPage, Inc. discussed its use of Twilio when building out its support centers. He was also present for sessions entitled “Choose the Right Platform,” “Creating Communications in Context,” and “Establish Greater Customer Connections – Integrating Communications into CRM.” Each discussion focused on streamlining business communications and leveraging cloud capabilities to solve complex customer interactions. The conference is also an important forum for networking. Sean was pleased to be able to speak with representatives from Box, Twilio, OneReach, and SendHub at the reception. He enjoyed hearing more about what they’ve learned during their transitions from old school approaches to application development. 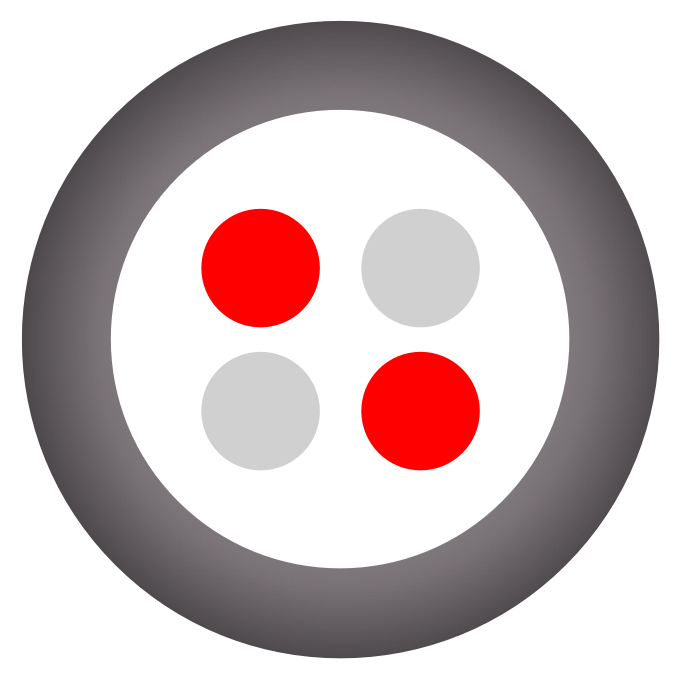 The Twilio Roadshow reflects an important theme in the rapidly evolving world of VoIP, multi-channel communications and software: this is the age of the customer. In April, Parsons, which is one of the largest transportation planning, engineering, and construction firms in the world, acquired Delcan. As a leader in ITS, Delcan will strengthen Parson’s offerings and help expand its geographic footprint in transportation. Google announced that it plans to build 200 prototype driverless cars for a pilot program that will be tested later this summer. The car is designed to operate without human intervention. Although it will have manual controls as required under California state law, the production models will not have a steering wheel, accelerator pedal, or brake pedal. A new study released by the US Department of Transportation’s (USDOT) National Highway Traffic Safety Administration (NHTSA) reveals that car crashes in the US in 2010 cost $871 billion in economic loss and societal harm. The study was based on the 32,999 fatalities, 3.9m non-fatal injuries, and 24m damaged vehicles related to motor vehicle crashes that occurred in 2010. The Georgia State Road and Tollway Authority (SRTA) announced that the state’s Peach Pass RFID (Radio Frequency Identification) transponder will be interoperable with Florida’s Sun Pass and North Carolina’s Quick Pass toll collection systems by the end of the year. Intelligent Transportation Society of America (ITSA) has partnered with SmartBrief, a leader in digital publishing, to launch a new e-brief. This daily e-newsletter will provide the latest news and information on transportation innovations, research, training, best practices, and more to subscribers. Recently, the American Public Works Association (APWA) held its annual North American Snow Conference, also known as “the Show for Snow,” in Cincinnati, OH. As an exhibitor at this year’s conference, Delcan Technologies was pleased to feature its Mobile Data Collection (MDC) systems, which generated a great deal of interest from conference attendees. Michael Howarth and Sean Mulligan represented Delcan Technologies at the conference to demonstrate the powerful tracking and reporting capabilities of DTI’s MDCs. Michael and Sean enjoyed reconnecting with vendors and meeting with representatives from a number of different cities and departments of transportation. The first phase of the Michigan Department of Transportation (MDOT) intelligent snow plow project was a success. MDOT worked with Delcan Technologies and ITERIS to implement a winter maintenance program utilizing Mobile Data Collectors (MDCs) and a Maintenance Decision Support System (MDSS). MDOT has already implemented over 200 vehicles with this advanced solution and has seen operational results. MDOT had an aggressive schedule to implement as many intelligent winter maintenance trucks (WMTs) as possible during the 2013/2014 winter season. DTI was awarded the contract in mid-September 2013. The central system was activated in November and all 273 equipment packages were delivered by January 1, 2014. DTI trained MDOT mechanics to install the MDCs, and, during a four-month period, they were able to install nearly all of the systems and enable advanced reporting features. All of this was accomplished amidst one of the worst winters in recorded history. MDOT and DTI were able to create and implement more custom reports than were initially planned. These reports provide data specific to MDOT and are rich in details. They were conceived with the input from 18 administrators representing 7 MDOT districts. Each month MDOT administrators met with DTI for training and to discuss ad hoc reporting. This enabled DTI to create extremely customized reports for MDOT based on the needs of a range of users. MDOT is able to use the information collected by the MDCs and the MDSS to proactively plan for winter weather events and to provide preventative maintenance on the WMTs. Garage supervisors have been able to adapt their operational and resource planning based on forecasting and treatment recommendations from the MDSS. For example, one garage supervisor called in more crews based on an MDSS forecast, which came several hours before the TV news forecast predicted snow. MDOT is also able to use data collected by the MDCs to schedule preventative maintenance for their vehicles. MDOT uses vehicle engine hours to schedule inspections and maintenance. Previously, the engine hours were manually recorded by the operators. Now the MDC system automatically collects vehicle data and integrates it with MDOT’s existing fleet management system. The MDCs streamline the data gathering process, which saves time and improves data accuracy. MDOT uses MDC data to generate reports that can be reviewed for operational efficiency. For example, MDOT research determined that snow plows should not exceed 25 mph when applying de-icing material to maximize efficiency and provide the highest level of service. MDOT can now generate reports to show operator speeds, locations, and material application rates, which enables them to conduct operational reviews. Before the 2013-2014 winter season ended, MDOT was already able to change the way they plan for winter weather events. They can now take the effectiveness of their winter road maintenance operations to the next level. 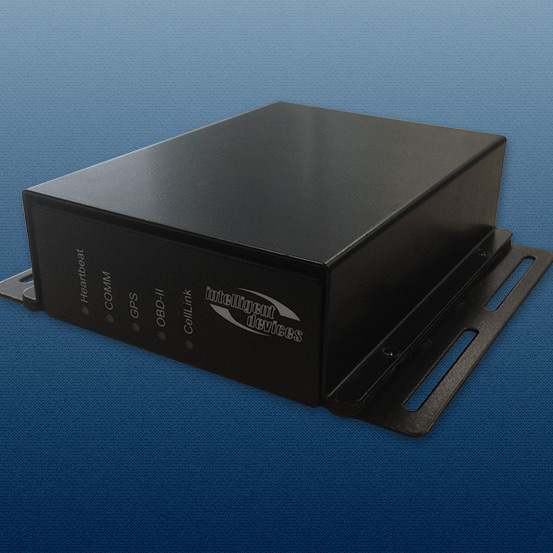 Delcan Technologies, Inc. is proud to announce a new addition to our Mobile Data Collector (MDC) offering—the MDC-006. This is a lower cost AVL option designed for general motor pools and non-heavy machinery. The MDC-006 provides GPS location services, engine code output for on-board diagnostics, and limited sensor inputs. It integrates seamlessly with DTI’s powerful central system– Intelligent NETworks. Fleet and operation managers can quickly locate all of their vehicles in real-time. Vehicle data is displayed on feature-rich maps, and the system can be set up with automated notifications based on vehicle location, geo-fencing data, speed, or other activities. Standard and custom reports are available so that you can analyze trends and better plan your operations. DTI is committed to offering a range of data tracking solutions to meet its customers’ needs. If your company doesn’t require multiple vehicle sensors and an in-cab touch screen display, the MDC-006 might be the right choice for your fleet management. Contact DTI today for more information on the new MDC-006. Delcan Technologies is excited to announce that we will be presenting at the 2014 ITS World Congress. The Intelligent Transportation Society of America (ITS America) is hosting the 2014 World Congress on Intelligent Transport Systems in Detroit, Michigan from September 7-11. This gathering includes more than 10,000 of the world’s leading transportation policymakers, researchers, and business professionals from the United States, Europe, and Asia. This is an opportunity to share the latest intelligent transportation systems applications and showcase cutting edge technology. Activities include presentations, expert panels, publications, demonstrations, exhibits, and technical tours. The Michigan Department of Transportation (MDOT), ITERIS, Inc., and Delcan Technologies will present on the successful deployment of a web-based AVL and Maintenance Decision Support System (MDSS) for over 300 MDOT winter maintenance trucks (WMTs). This project integrated Mobile Data Collector (MDC) data into a MDSS that uses the HiCAPS™ model, a highly sophisticated model that predicts highway conditions. As a result, MDOT can proactively plan for winter road maintenance based on real-time data and treatment strategies. DTI will also be an exhibitor at the ITS World Congress. Please stop by our booth for more information, or schedule a time to visit with us. One of the benefits of Intelligent NETworks is the ability to quickly create customized reports. Delcan Technologies recently released a new set of advanced ad hoc reports for Michigan Department of Transportation (MDOT). These report templates allow MDOT system administrators to automatically run custom reports based on their requested data parameters. Salting Speed Report: This custom report measures how fast the plow vehicle is going during salting. 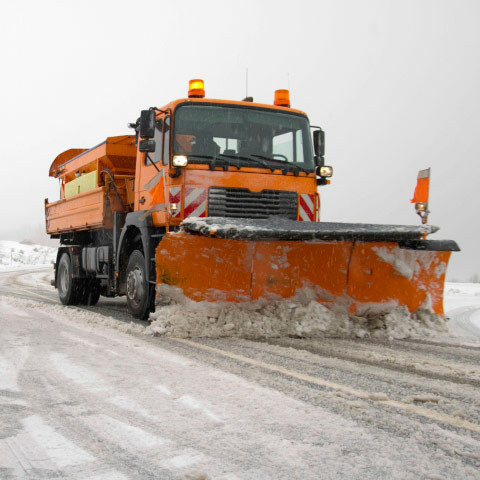 The mobile data collectors (MDCs) on plow vehicles gather information from sensors and the engine diagnostics to determine when the salting process starts and stops, along with the vehicle speed. The custom Salting Speed Report pulls those data parameters into an automatically generated report. MDOT fleet management can then use that information to determine if the plow vehicle was traveling too fast, and therefore salt bounces off the roadway reducing the effectiveness of MDOT’s roadway treatment efforts and wasting material. Geo Fencing Report: The Geo Fencing Report calculates the amount of salting material applied within a specific geographic area. The Geo Fence module of Intelligent NETworks creates a virtual perimeter around a user-selected area on a map. Whenever an MDOT plow vehicle enters or exits the geo fenced perimeter, the system captures that data. Another on-vehicle sensor collects data on amount of salt material applied. This custom report collates the data and shows exactly how much material was applied in a specific region. This is particularly useful for monitoring environmentally protected areas. Plow Life Study Report: Although plow blades have a manufacturer lifecycle, it doesn’t always compare to the lifecycle of plow blades used in the field. The Plow Life Study Report measures the time a plow blade is down and compares it to the wear and tear data collected on the plow. This report helps management to understand why some plow blades wear out more quickly. They can easily see if an operator is putting a blade down too heavily or for too long. Type and Amount of Material Applied Report: Currents reports were available to tell MDOT management how much material was distributed during each run. However, the snow removal material is usually a mix of different substances, including magnesium chloride, brine, and salt. The Type and Amount of Material Applied Report breaks down the total amounts of mixture distributed by each type of material rather than just a grand total. This report can help procurement estimate how fast each material in the mixture will be used. These reports were customized for MDOT’s specific needs. As MDOT determines more data assessment needs, additional custom reports can be created. DTI can take any two or more data points collected and create a report to display the data. As needs change, the reports can be updated accordingly. 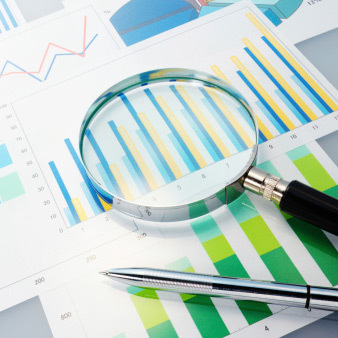 Contact DTI today to find out how you can benefit from custom reports. North Dakota Department of Transportation (NDDOT) is working with Delcan Technologies (DTI) to upgrade their Advanced Traffic Management System (ATMS) from Intelligent Control to DTI’s state-of-the-art Intelligent NETworks Suite. The project kicked off in February and will be fully deployed before the end of 2014. Flexible: Intelligent NETworks is a web-based application that uses a standard web browser. Users can access the application from any location with web or local network access. Configurable: The 26 modules that make up Intelligent NETworks can be installed as needed. In addition, customized modules can be created to meet specific requirements. Integration: Intelligent NETworks® is built on the NTCIP standards from the ground up. It clearly envisages a migration from the proprietary systems of years gone by, towards an environment where system expansion on the basis of standards based procurement results in lower cost, lower risk, faster deployment. NDDOT selected the following Intelligent NETworks modules for their ATMS and they have the ability to quickly and easily add modules as needed. 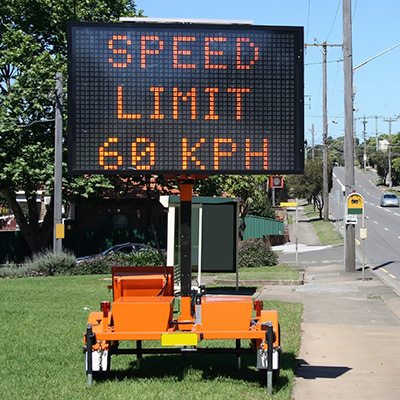 DMS Module: The DMS module communicates with fixed and portable dynamic message signs (DMS) to disseminate information to motorists. This module allows the system administrator to post messages in real-time, schedule messages for posting at a specific time, or set a message to be sent to one sign, multiple signs, or all signs in the system at once. The ESS data is transmitted to Intelligent NETworks and displayed as color-coded icons on a map to alert users of hazardous conditions. The ESS module works with NDDOT’s fixed automated spraying technology (FAST). This feature combines sensors with a pump that sprays anti-icing material on the road. The ESS module collects data from the FAST Sprayers including event times, tank levels, and history. The system can then be triggered to activate the FAST anti-icing spray pump. 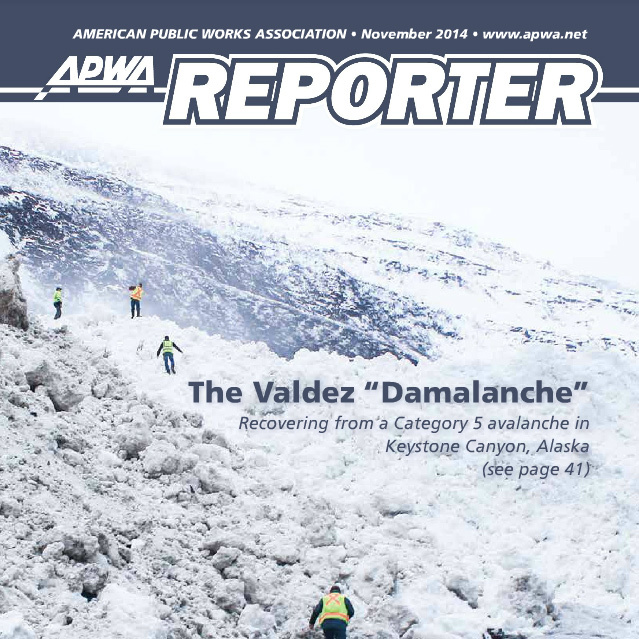 Every year, the American Public Works Association (APWA) hosts the North American Snow Conference, a national gathering dedicated to all aspects of snow and ice removal. Featuring four days of networking, education, and exhibitions, “the Show for Snow” highlights all the latest industry trends and technologies. 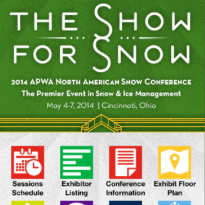 This year the conference will bring over 1,500 winter maintenance professionals to Cincinnati, OH, from May 4-7, 2014 for a wide array of snow-related activities. In addition to educational sessions and technical tours, the Snow Conference features an exhibit floor, where over 130 companies will showcase innovative products, equipment, and services. The exhibit floor will also feature a New Product Showcase and an Exhibitor Solutions Theater, where exhibiting companies will hold 45-minute technical presentations. 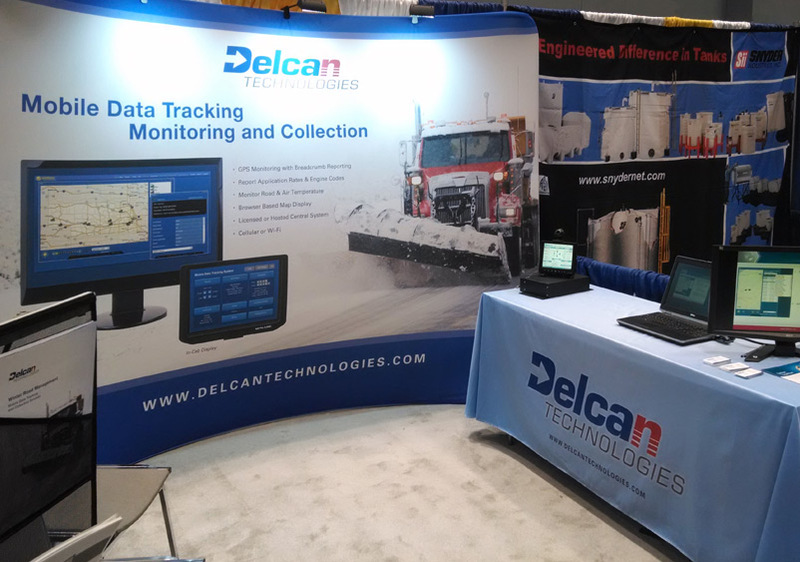 Delcan Technologies is proud to be an exhibitor at the 2014 Snow Conference. We hope you’ll stop by and see us at our booth as you browse the exhibit floor! Parsons is pleased to announce that it has acquired Delcan Technologies Inc., a products firm focused on providing innovative transportation solutions to the Intelligent Transportation Systems market. Delcan Technologies Inc. is a strategic addition to Parsons and signals the firm’s intent to expand its geographic footprint as well as its service and product offerings in transportation, one of the corporation’s four key market areas. This transaction furthers Parsons’ ongoing commitment to the application of technology to provide the most safe and efficient roadways possible. 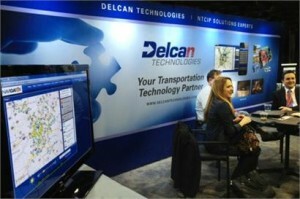 Delcan Technologies Inc. has extensive expertise in creating reliable, off-the-shelf products and possesses an unmatched expertise in National Transportation Communication for ITS Protocol (NTCIP) based deployments, positioning the firm as the leader in standards-based, technology driven projects. Delcan Technologies Inc.’s expertise will be enhanced by Parson’s geographic reach, international experience, and industry knowledge. An acknowledged leader in ITS, Delcan Technologies Inc. will further strengthen Parsons’ offerings in this area across all markets. With revenues of $3 billion in 2013, Parsons is one of the largest transportation planning, engineering, and construction firms in the world, having successfully delivered 10,000+ miles of roads and highways, 4,500+ bridges, and 400+ airports worldwide. The corporation’s extensive portfolio of diverse transportation projects includes rail and transit, road and highway, bridge and tunnel, and aviation infrastructure. Parsons’ expertise encompasses all phases of transportation engineering operations, from the initial planning stage through final design, construction, commissioning, maintenance, and financing. Parsons, celebrating nearly 70 years of growth in the engineering, construction, technical, and professional services industries, is a leader in many diversified markets, with a focus on transportation, environmental/infrastructure, defense/security, and resources. Parsons delivers design/design-build, program/construction management, and other professional services packaged in innovative alternative delivery methods to federal, regional, and local government agencies, as well as to private industrial customers worldwide. For more about Parsons, please visit www.parsons.com. 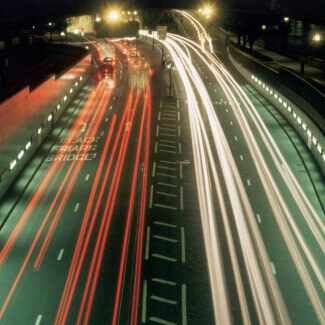 Traffic technology continues to evolve at a rapid pace, with new developments influencing everything from vehicles to the infrastructure itself. Here are some recent videos and news articles on traffic technology to keep you up-to-date on the latest trends and developments. Car-to-Car Communication the Next Big Innovation? Spurred on by developments in WiFi communications, vehicle-to-vehicle (v2v) communication systems offer dramatic safety benefits for marginal costs. New studies have prompted the US Department of Transportation to propose regulations requiring v2v technology in all new vehicles. Inrix’s seventh annual Traffic Scorecard Report provides statistics that highlight the growing need for intelligent transportation solutions and connected car technologies. During 2013, traffic congestion increased in 61 metropolitan areas, a significant shift from 2012, when only six cities experienced an increase. Peter Sweatman, Chairman of the ITS America Leadership Circle, testified before the House T&I Committee on the importance of federal surface transportation safety grants. He also highlighted the need for collaboration between the government and private sector in developing new technologies. This spring break season, the Texas Department of Transportation (TxDOT) is using Bluetooth and WiFi technology to calculate ferry wait times at the busy Port Aransas ferry crossing near Corpus Christi, Texas. Using variable message signs (VMS) and signals from Bluetooth- and WiFi-enabled sensors, they hope to help travelers make more informed decisions about alternate routes during peak travel times. A new report issued by the Governor’s Highway Safety Association (GHSA) revealed a decline in pedestrian deaths for the first time in nearly five years. The report highlights the importance of reducing distractions and speeding near areas of heavy pedestrian traffic. Nissan recently unveiled a ‘Smart’ rearview mirror that uses a high-resolution camera and an LCD screen to provide increased visibility and awareness of traffic conditions. The mirror also allows the driver to switch between an LCD monitor and a conventional mirror. Delcan Technologies recently submitted their recommendations for the draft of the Clear Roads Universal In-Cab Communications Protocol. 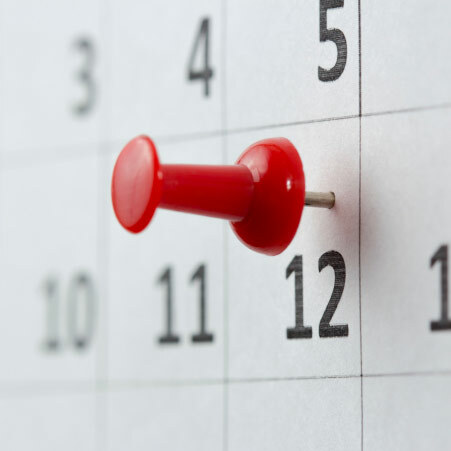 The public comment period is open until February 28, 2014. The final standard is targeted for completion in 2015. Clear Roads is a pooled fund research project that provides ongoing research about winter maintenance materials, equipment, and methods for use by highway maintenance crews. One of the current Clear Roads projects is the Plug-n-Play Initiative, which will provide standard communication protocols between winter maintenance electronic devices. Different vendors manufacture sensors and other electronic devices with their own proprietary communication protocols and data formats. That means that a spreader controller by one vendor may not communicate with an AVL by another vendor. Currently, AVL vendors have been adapting their technology to communicate with the spreader controllers. However, that requires custom firmware updates for each product provided by a different vendor. The burden on AVL vendors, along with constant increase of data complexity, makes the current model unsustainable. Clear Roads developed a universal, bi-directional protocol to work with spreaders, AVL devices, and other winter maintenance electronic equipment. The Clear Roads Universal In-Cab Communications Protocol provides a Data Parameter Library (DPL) to standardize the protocol, data format, Baud rate, and sensor negotiation. The standard is designed as a living document, and new data parameters can be added as technology changes. Delcan Technologies recently launched a number of geo service enhancements to Intelligent NETworks®. The Automated Vehicle Locator (AVL) and Winter Maintenance modules can feature a wide range of geo-fencing capabilities. Geo Services provides a virtual perimeter around user-selected geographical areas. Authorized users can select custom boundaries around specified areas on their map. Whenever a vehicle with a mobile data collector enters or exits the geo-fenced perimeter, the system receives a notification. The system can then use that data to generate customized reports or to send alerts. There are a number of search features available for defining the geo-fenced area. You can search by a specific address, a landmark, or pre-defined locations such as garages or cities. 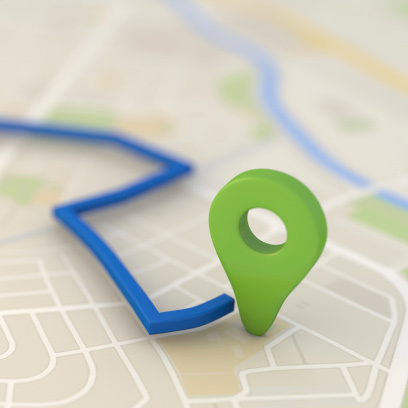 Users can create an ad hoc geo-fence to find the closest vehicle in the fleet to the specified area. Or, users can pre-set areas, such as garages, so they have constant data on who enters and exits the garages, the duration spent in the garage, and the exact time of entry and departure. This technology has many practical uses. For example, it can input data for time management systems. A fleet administrator can set it up to provide alerts when a driver breaks from the route. Dynamic reports can be created to determine if certain routes are over- or under-salted by a winter road maintenance fleet. Similarly, alerts can be set whenever a salt truck enters an EPA-protected zone. It can also be used for billing activities. If the city winter road maintenance crew contracts with private companies to plow their facilities, they can automatically trigger billing whenever a plow truck enters the company location. Geo Services can streamline workflow, reduce administrative work, prevent unauthorized usage, and provide useful statistics. This tool is a significant addition to the AVL and Winter Maintenance modules, offering greater control and additional notifications. Delcan Technologies was selected to implement an Intelligent Snow Plow system for the State of Michigan Department of Transportation (MDOT). Deployment of the 270+ MDC (Mobile Data Collector) units began in October 2013 with Phase I being completed in February 2014. The first phase of the MDOT intelligent snow plow project included the installation of MDC units that transmit data provided by the plow blade sensors, spreader controller, GPS receiver, and air and road temperature sensors. This data is sent to the central Intelligent NETworks system where system administrators can monitor, analyze, and report on winter maintenance activity. MDSS: The MDC system has been linked with a Maintenance Decision Support System (MDSS) to provide winter maintenance treatment recommendations. An MDSS works by combining historical weather data, weather forecasts, and current weather conditions with the real-time data collected from MDCs installed in vehicles. The data collected from the MDCs is sent to the MDSS, which then analyzes the data using multiple computer models and sends specific maintenance recommendations back to the MDCs and to the central system monitored by MDOT management. Geo Services: This new feature added to the Winter Maintenance module provides geo-fencing capabilities. This allows MDOT winter maintenance management to receive alerts when snow plows enter or exit specified geographic locations. For example, system managers may choose to be alerted any time a snow plow enters a garage. They can then track how much time the vehicle spends in the garage before exiting. Multiple Views: The MDOT system has been configured with two viewing settings: garage view and state-wide view. A garage view is created for each MDOT garage. Users are allowed to see the vehicles and associated data within their own garage. The state-wide view shows all MDOT connected vehicles and their associated data. Users with special permissions, such as MDOT managers, can access the state-wide view. Reporting: Intelligent NETworks Winter Maintenance module includes advanced ad hoc reporting. This provides MDOT with rich, customized reporting capabilities. MDOT administrators can quickly and easily select any two data points collected by the MDC system and create a custom report. MDOT elected to install all the MDC units. Delcan Technologies shipped the first set of equipment and sensors. Then, Declan Technologies went on-site to provide hands-on installation training for selected MDOT personnel. By training the MDOT crew, their team now has the capability to install new systems and transfer them between vehicles. In addition, MDOT-trained staff can instruct more staff as needed. This allows for greater control and independence. 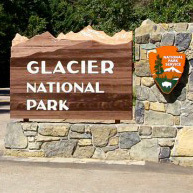 Delcan Technologies is in the final phases of completing a parking guidance system at Glacier National Park in Alaska. The system manages and directs tour buses visiting the park to appropriate locations based on the volume of buses inside the park. The system wirelessly monitors a set of six bus drop-off locations. As buses pull in and out of the spaces, the wireless parking sensors transmit data to a central computer. 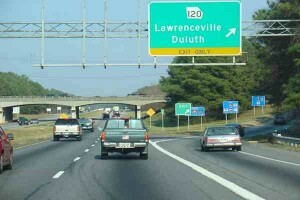 The computer then automatically feeds that data to a series of Dynamic Message Signs along the roadway. When all the spaces are full the system alerts in-bound buses and directs them to a waiting area until an open space is available. 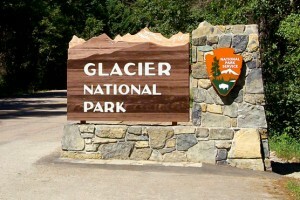 As a part of the project Delcan Technologies provided the park with two dynamic signs, a wireless network for communicating with the signs, six wireless parking sensors, a wireless zigbee network, a central control computer and associated software to control the system. 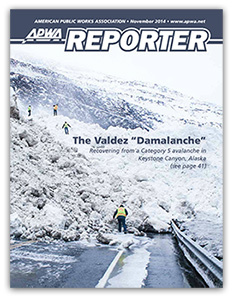 The system is due to launch this summer and was implemented in coordination with the Alaska Department of Transportation and Northern Management Services. 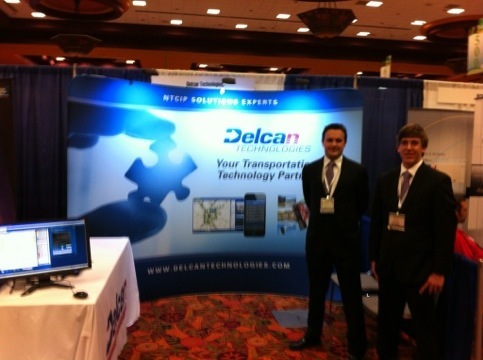 Delcan Technologies was in attendance at the 2012 ITS America show this past May. The team that attended the show included Michael Howarth, Peter Ashley and Andrew Baker. The show was held in National Harbor, MD and covered three days of all things transportation. As one of our first major shows since the transition to Delcan Technologies, we were excited to share our new core mission of “Your Transportation Technology Partner” with existing and new clients. Over the last few months we’ve grown to embrace that statement at a root level and have been striving to become a true partner for our clients. Another highlight of the show was the public launch of our 1991 card which easily enables cellular connections to field devices. The high level of interest in the 1991 card highlights how important connecting to mobile networks is becoming for ITS equipment. Instead of investing in huge infrastructure costs, clients are using the 1991 card to leverage existing cell phone networks. Additionally, we showcased the latest modules and additions to Intelligent NETworks. Many of the new features focused on predictive modeling and intelligent incident management. 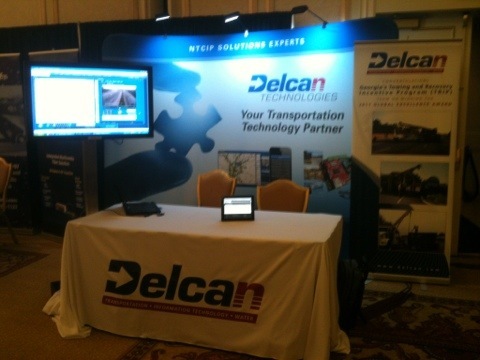 Delcan Technologies showcased its latest products at the ITS Virginia conference in Richmond Virginia. If you at the show please visit our booth to speak to us. The NTCIP Interoperability Showcase at the 2011 ITS World Congress is a full-scale demonstration to display the interoperability of commercially available NTCIP-compliant products. This event is sponsored by the National Electrical Manufacturers Association (NEMA) with support from ITS America, one of the three event organizers. The NTCIP Interoperability Showcase is hosted within the booths of several manufacturers and vendors during the ITS World Congress in Orlando, Florida. NEMA member companies will be demonstrating NTCIP interoperability in a free-form configuration mimicking real-life situations. Using a wireless communications network inside of the exhibition hall, each device and central system is interconnected allowing demonstrations in an ad-hoc setup. Conflicts such as competing messages displayed on the same DMS will be handled as done in real life, i.e., the message priority will determine whether the current message is replaced by another message. The diagram below shows the conceptual setup of the NTCIP Interoperability Showcase. NEMA has prepared a flyer announcing this event and will distribute it prior to the ITS World Congress. DTI has taken a lead role in this demonstration showcase by designing and coordinating the efforts including configuration development, provision of main wireless access point, interaction with ITS America (with NEMA staff), and dry-run testing. DTI will provide several fully NTCIP-compliant pieces of equipment for this showcase including its central system, ATC traffic controller, ESS weather station controller, and CCTV camera. More information is available on NEMA and the ITS World Congress. Delcan Technologies is proud to announce a new contract for an Intelligent Border Crossing project. 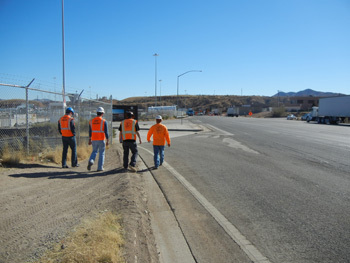 DTI is working with MAC Electric, Hensel Phelps Construction, the General Services Administration and Customs and Border Patrol to integrate and implement an Intelligent Border Crossing System for the new Nogales Land Port of Entry on the United States-Mexico Border in Nogales, AZ. This marks an entry into a new market segment for Delcan Technologies which brings new opportunities to implement ITS solutions in the Homeland Security market segment. Delcan Technologies will be serving in a design/implement capacity to MAC Electric for the traffic signalization and dynamic message signage (DMS Signs) for the Port of Entry. Delcan Technologies will be using NTCIP standards to integrate the DMS signs, traffic signal heads, video detectors, border patrol agent input panels, border crossing gates and other traffic detectors under a single system by using ATC traffic signal controllers and Intelligent Control Device Manager. Most importantly, the system will allow for agents in booths to control what messages are on the signs through the physical buttons that are installed by MAC Electric in the agent booths. Intelligent Control Device Manager will allow for status and health monitoring and emergency overrides of all systems via the scenarios feature. The project is still in the design phase with of the above mentioned stakeholders involved. Although the GSA/CBP timeframe for the overall project completion date is far in the future, MAC Electric and Delcan Technologies expect to complete the project by the end of October with all implementation and testing completed. Intelligent NETworks® is currently being developed as the new Advanced Traffic Management System (ATMS) for the state of Georgia. The installation controls and monitors any traffic devices managed by GDOT including devices attached to their primary fiber backbone and devices outside of their fiber network. Additionally, the new system manages a number of local Traffic Control Centers (TCCs), allowing them to take full advantage of the statewide license. The system also publishes all the traffic information to an Advanced Traveller Information System website as well as providing traffic information and video to local news agencies. The new Georgia NaviGAtor is one of the largest installations of Intelligent NETworks®. Began in late 2009 and scheduled to deploy over two phases, the project is due to launch in November of 2010. When finished it will manage 500 cameras, 100 signs and over a thousand vehicle detectors. It has also been designed to interface with Siemens Tactics system used by GDOT to set-up and control their traffic signal systems. Phase two will see the addition of the automatic vehicle locator, ramp metering and ESS modules along with the initial install. The NaviGAtor 2 software will bring GDOT into the 21st century of effective traffic management by providing a state of the art software suite to meet their growing demands. The interfaces will be much easier to use, drastically reducing time spent by operators trying to do small tasks and allow the TMC staff to focus on the broader goal of reducing incident response time and keeping the highways flowing freely.